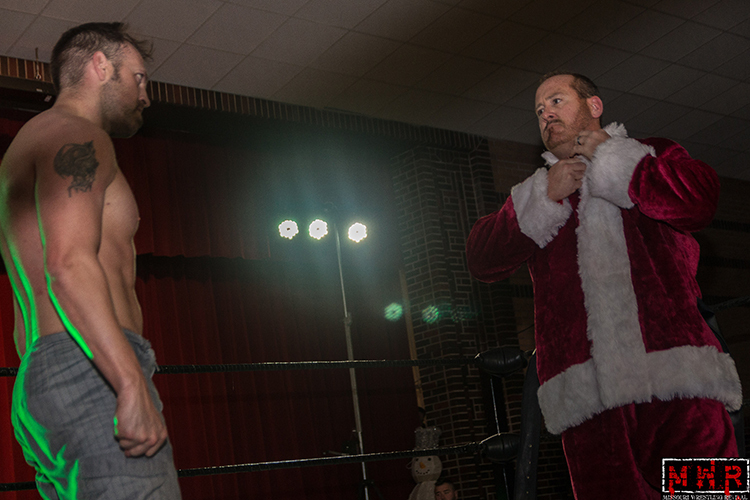 The fans of Metro Pro Wrestling packed the Turner Rec Center in Kansas City, Kansas for the holiday season for a night that featured Murdoch Claus, I mean Santa Claus, and the stars of MPW. 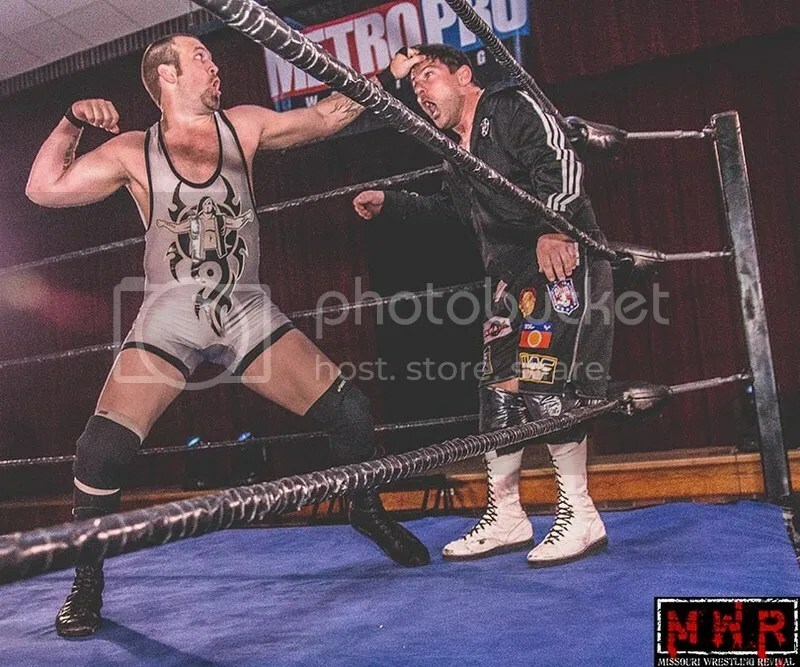 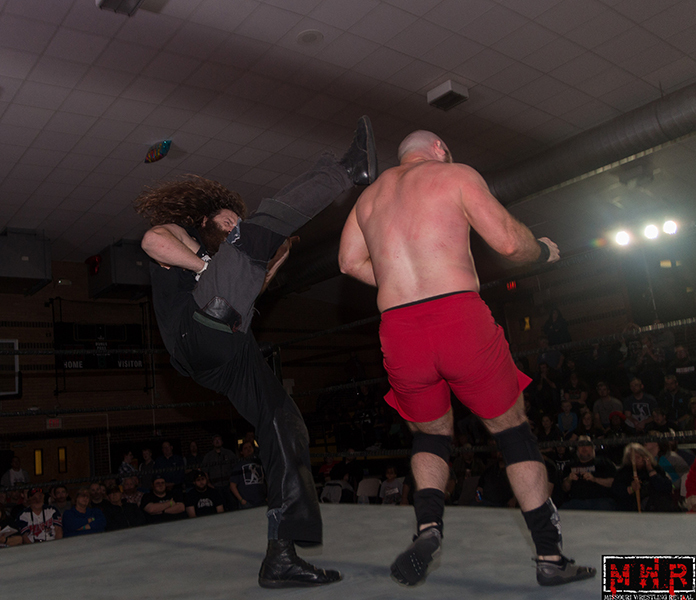 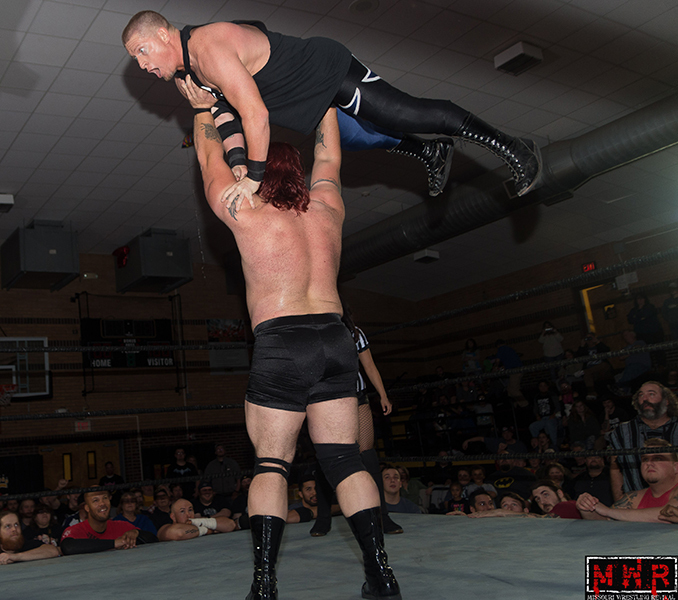 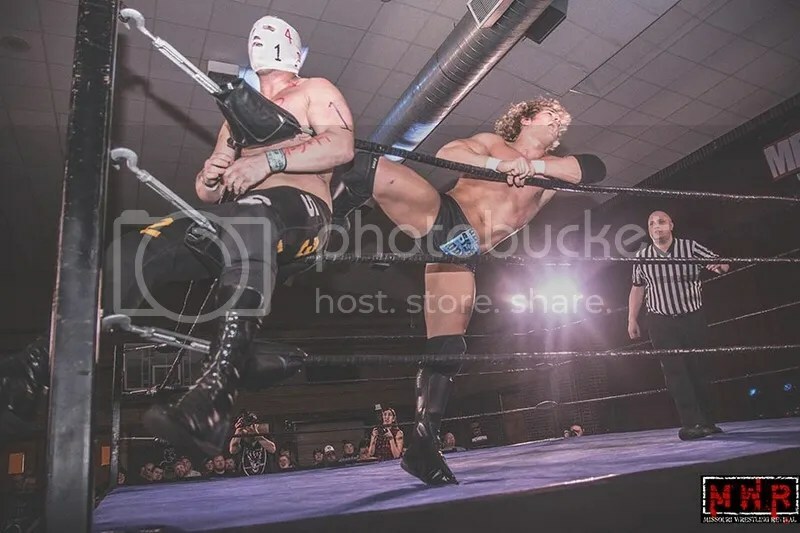 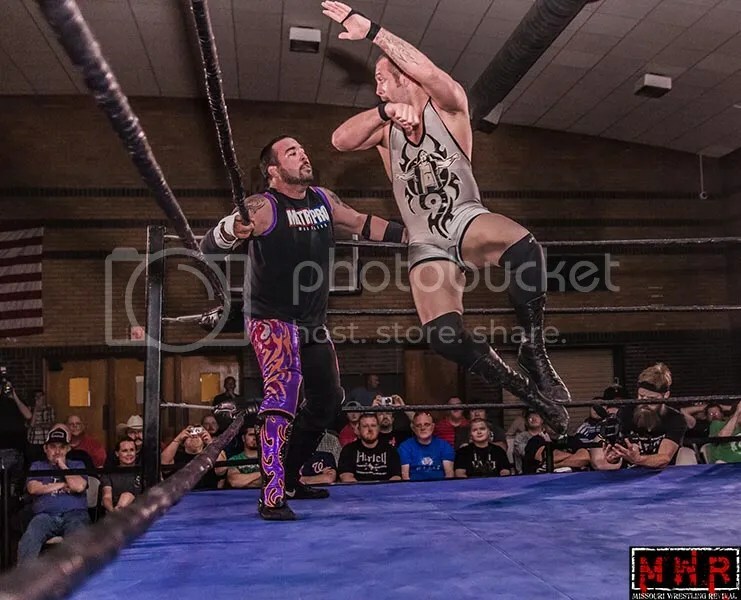 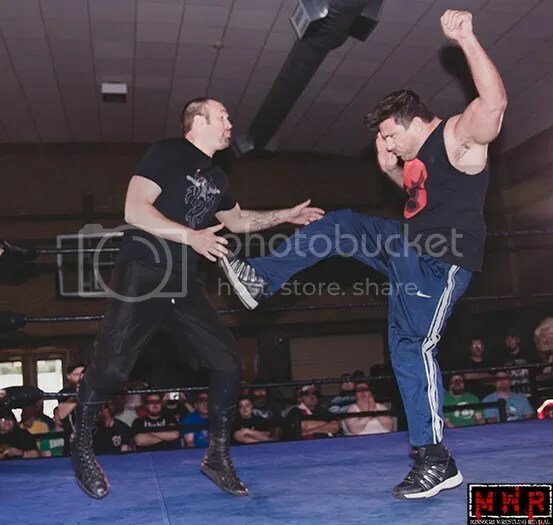 The return of MPW also featured the last match between two of the very best, as the “teacher” Ace Steel battled his “student” Adam Pearce. 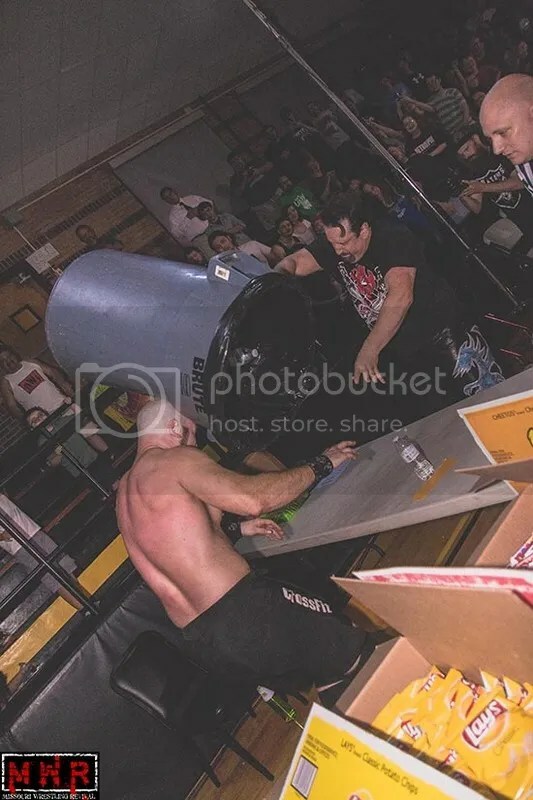 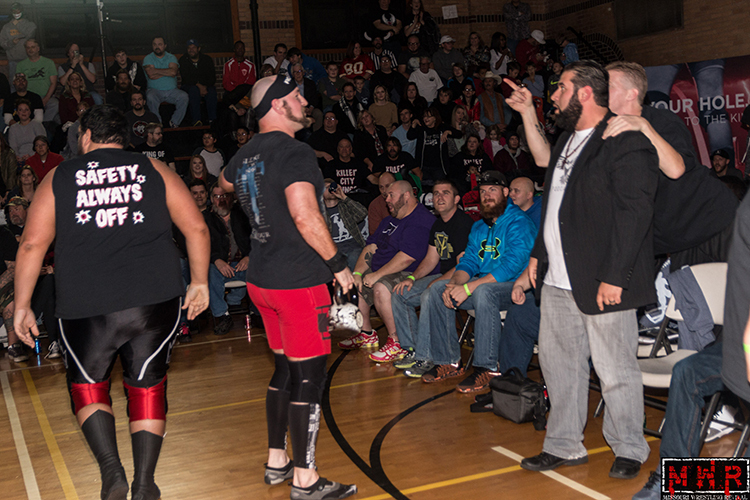 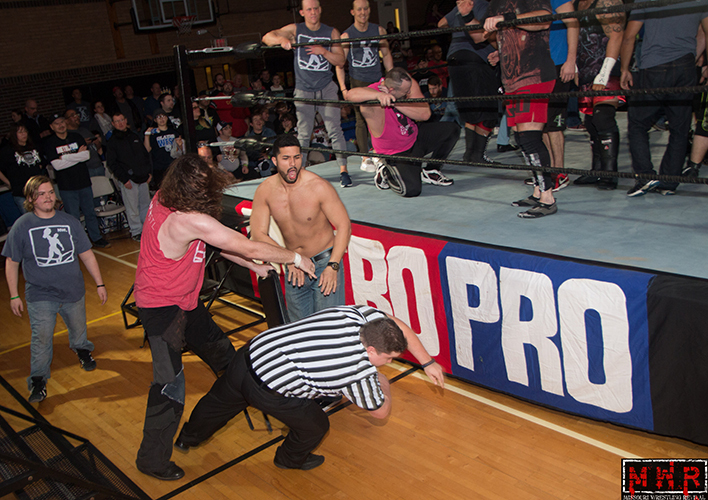 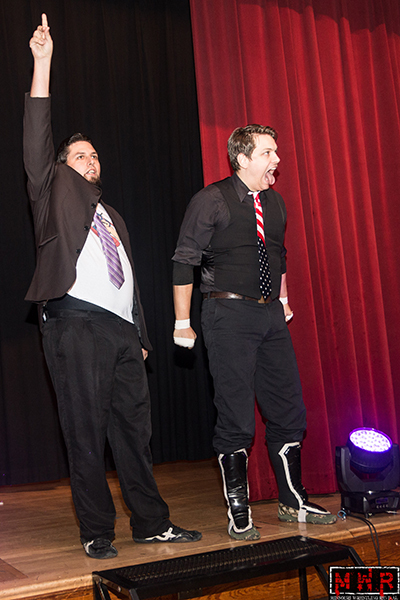 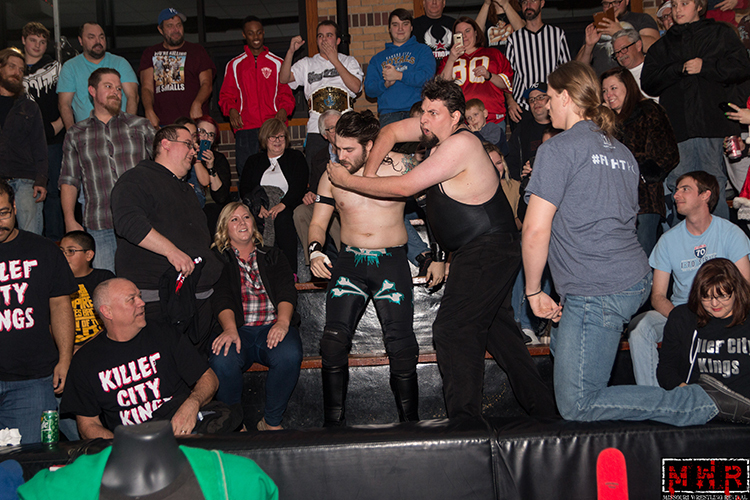 The war between the two escalated in and out of the ring, through the concession stand and all the way into the crowd. 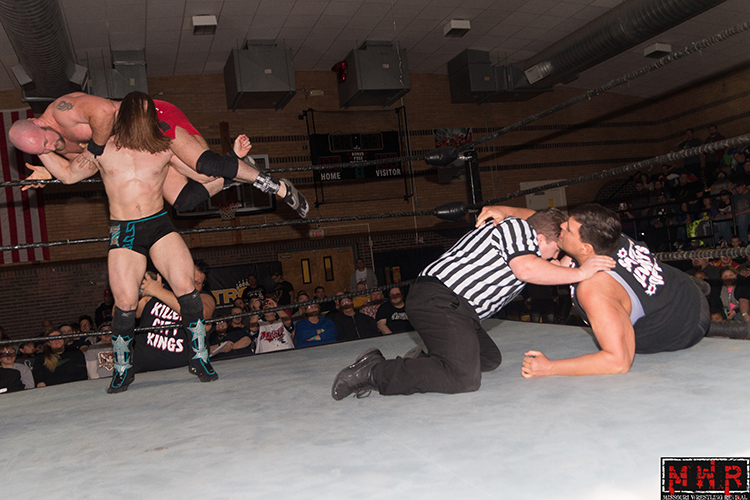 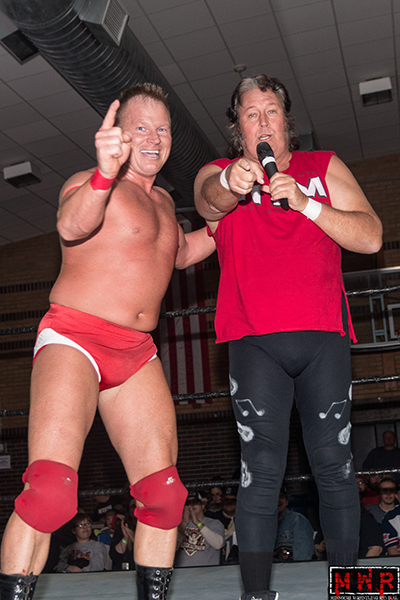 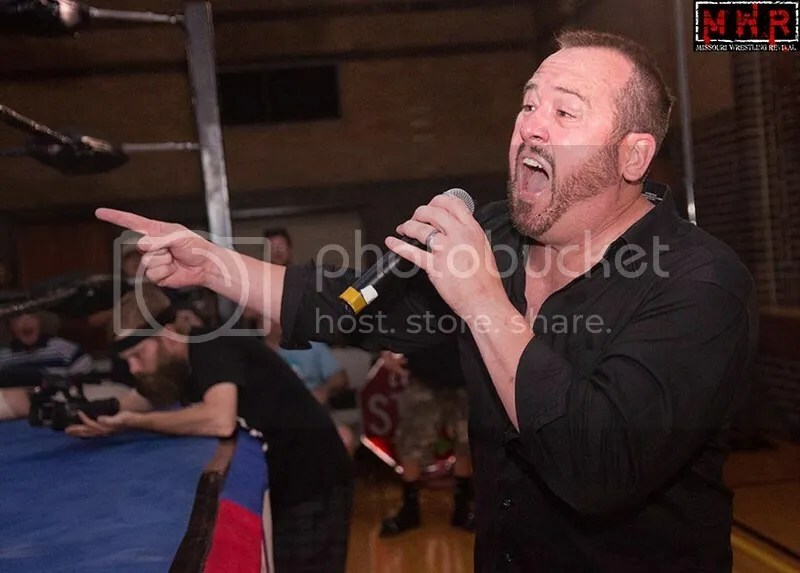 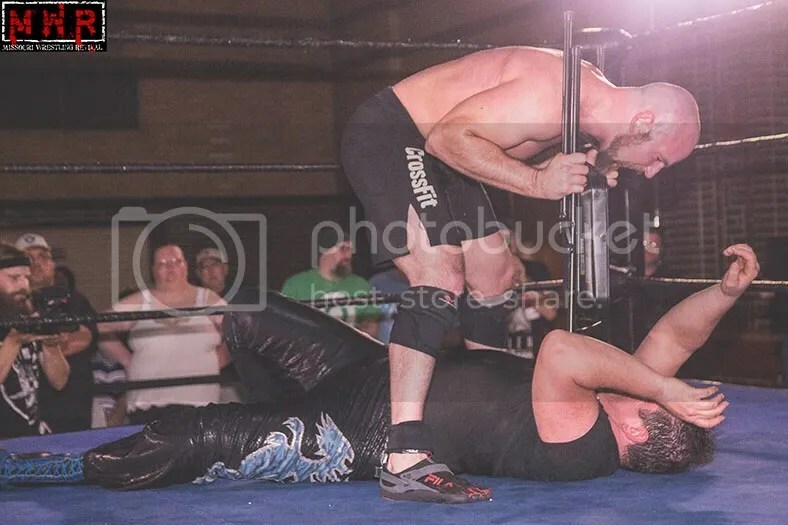 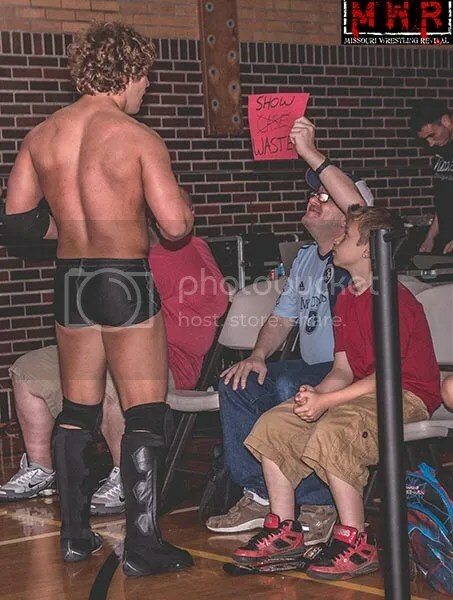 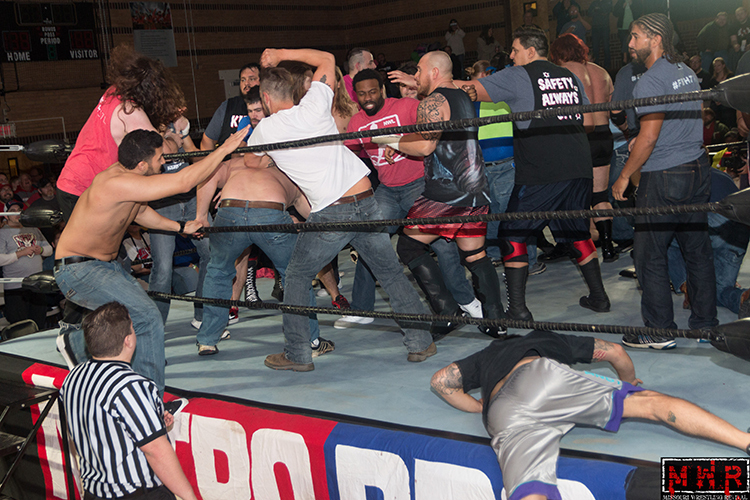 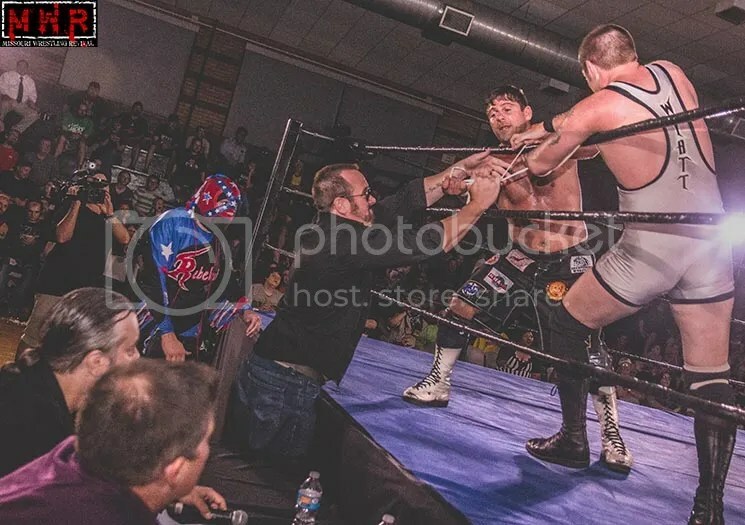 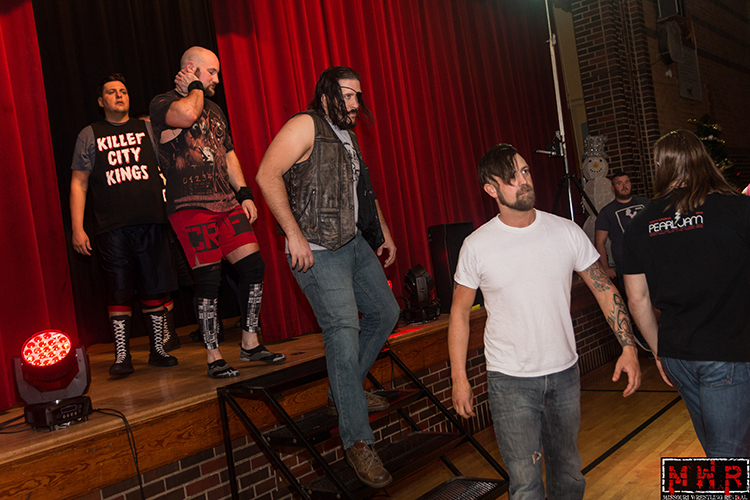 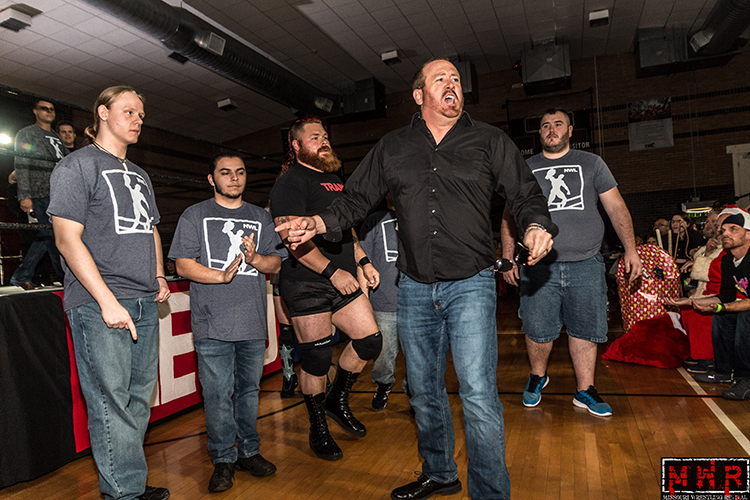 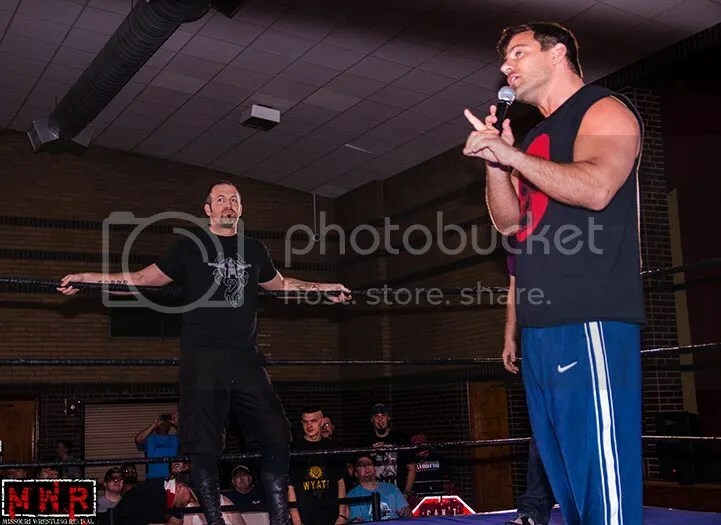 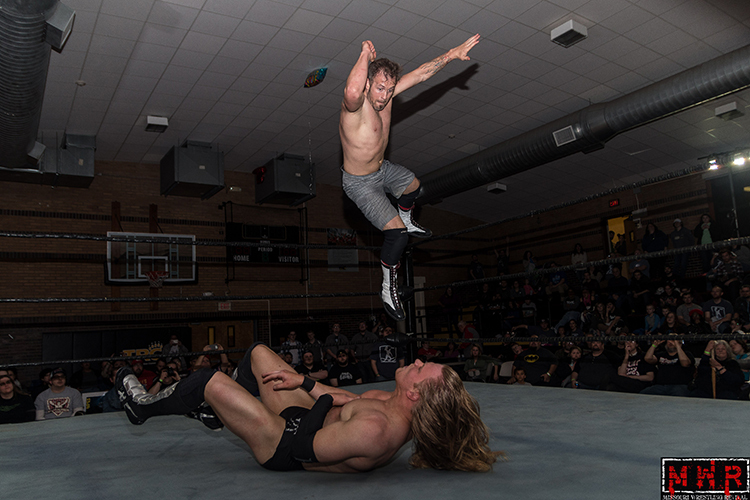 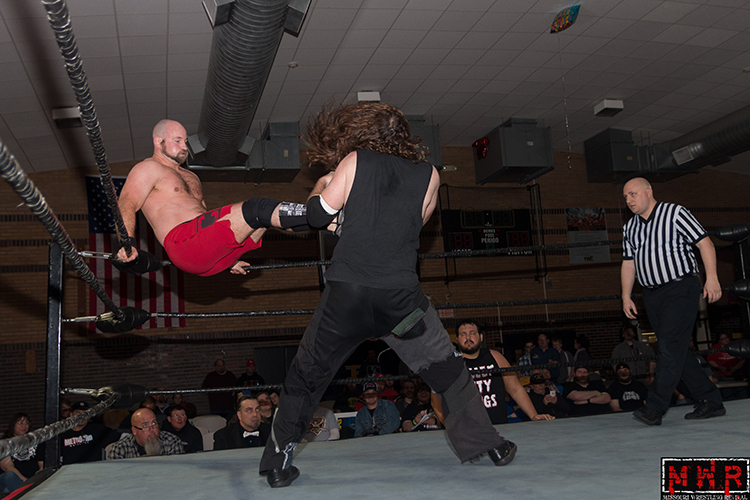 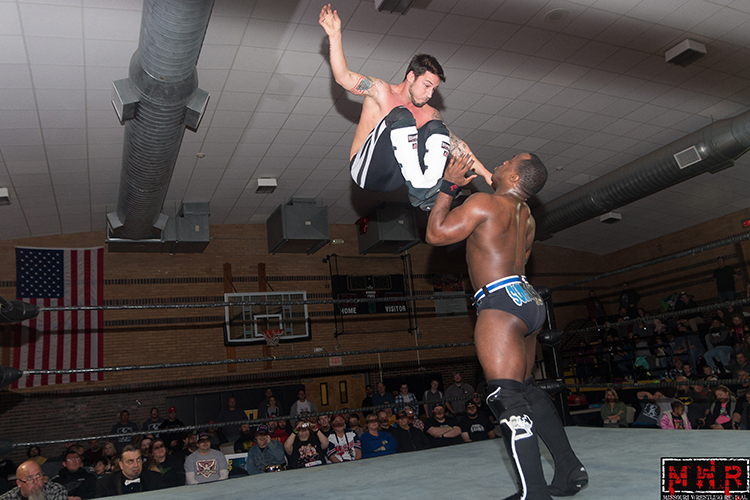 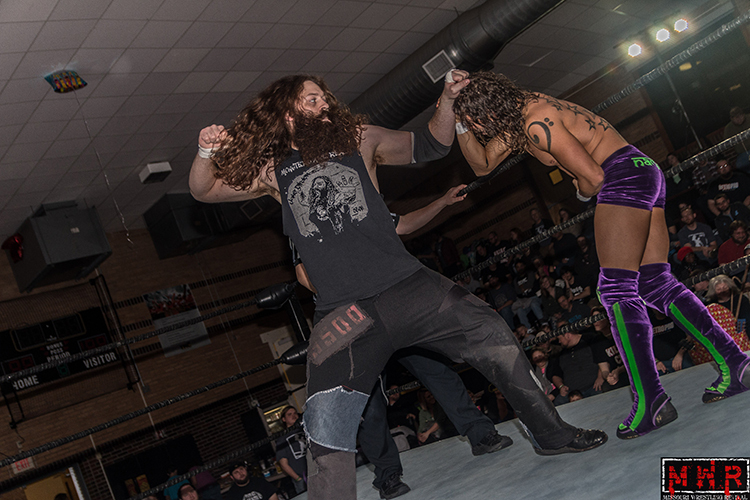 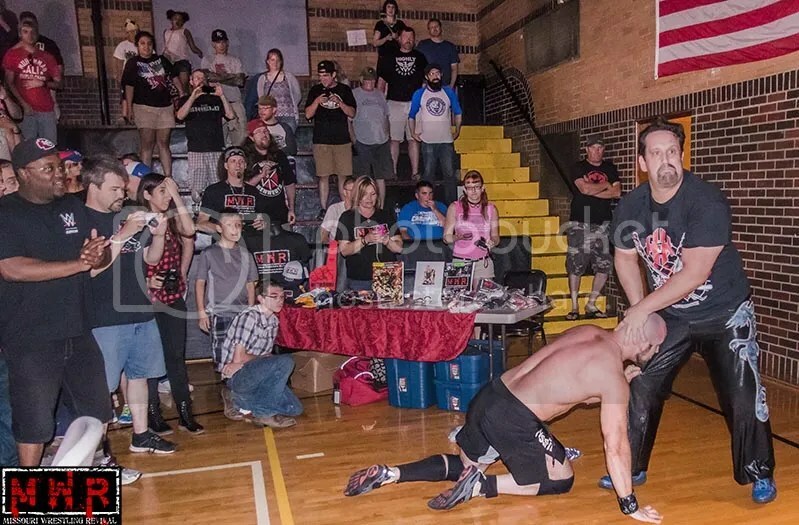 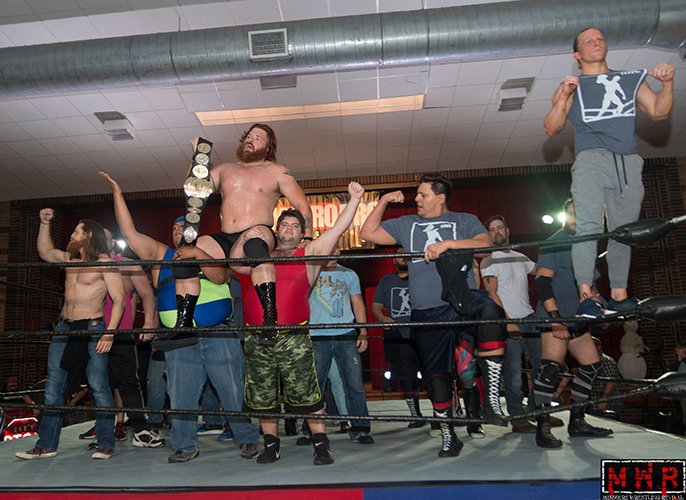 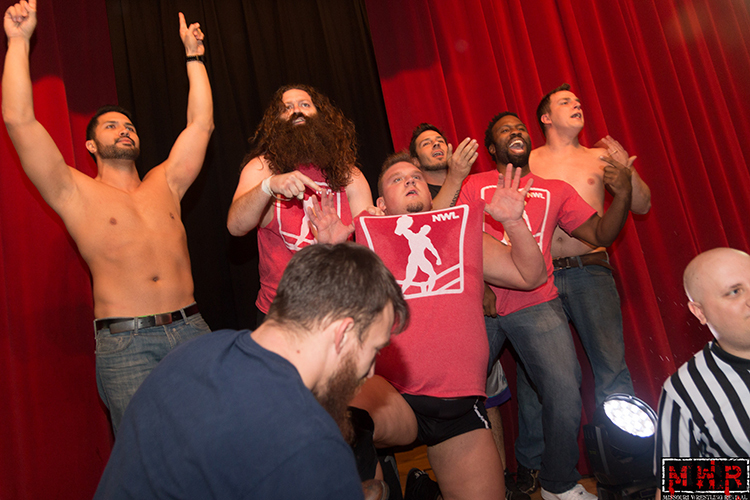 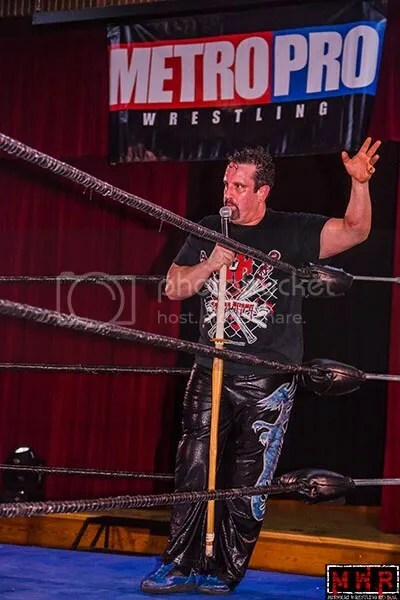 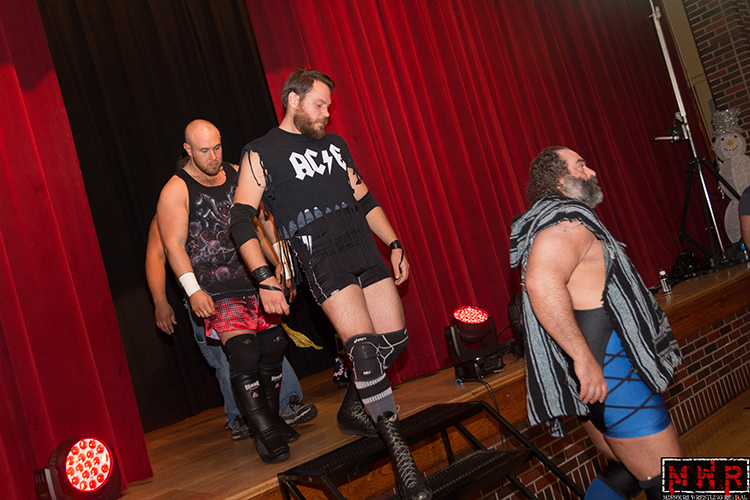 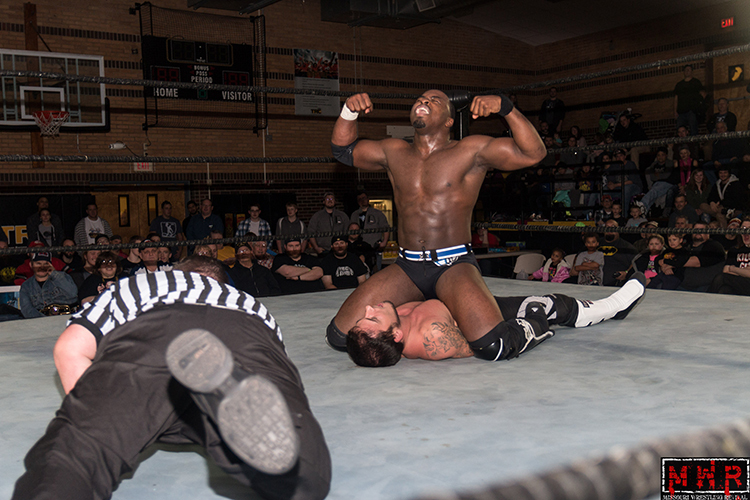 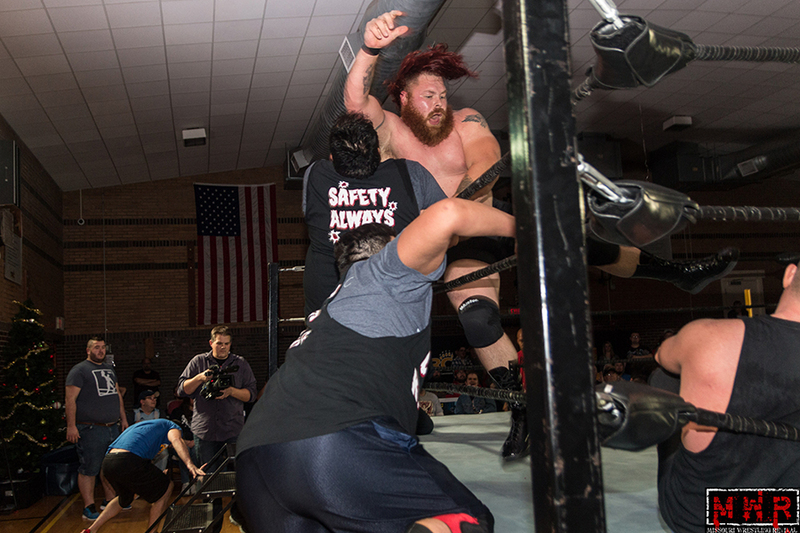 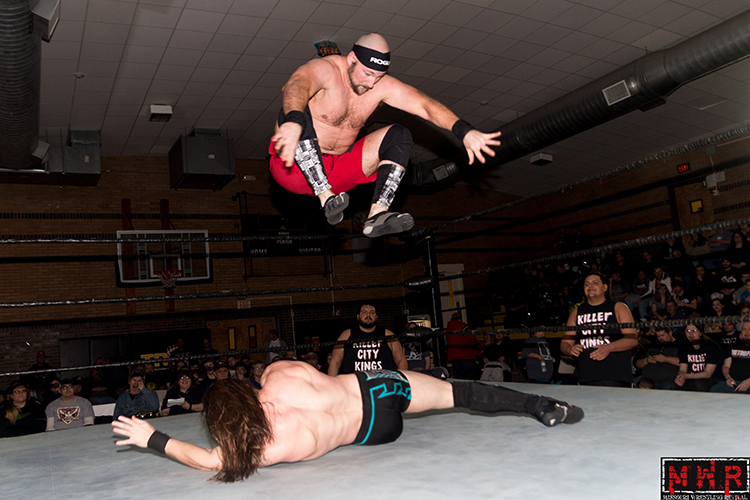 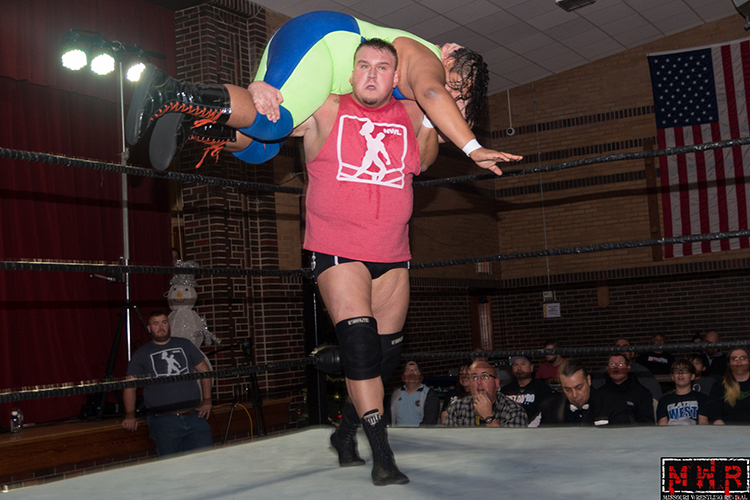 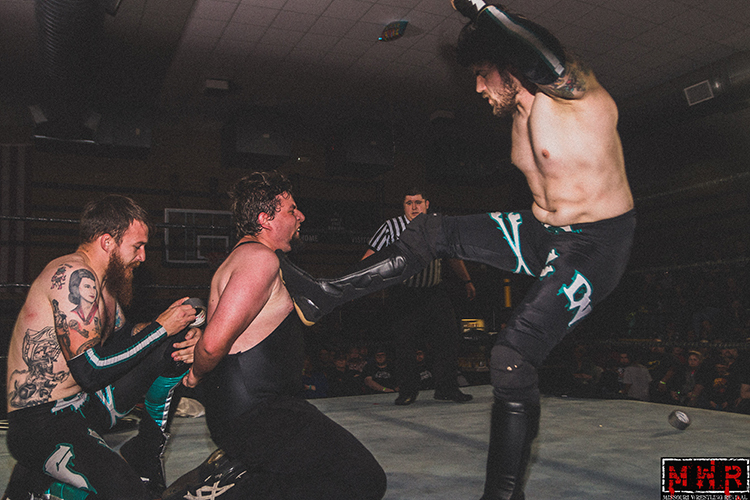 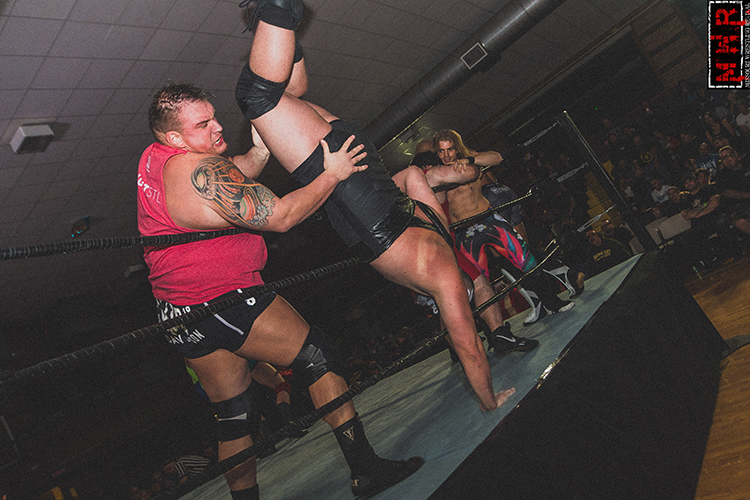 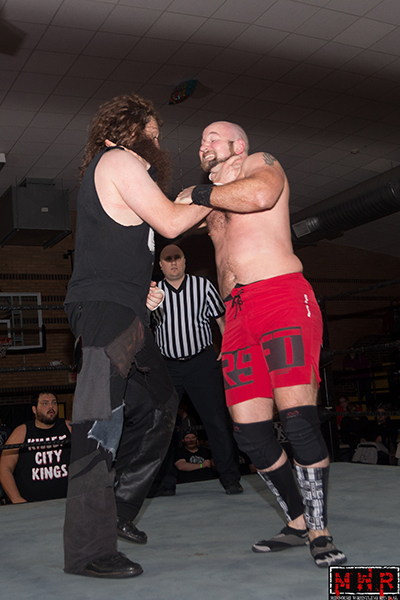 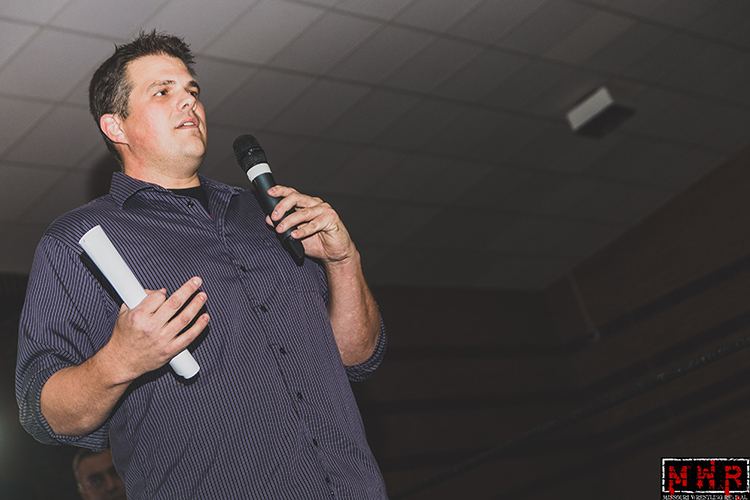 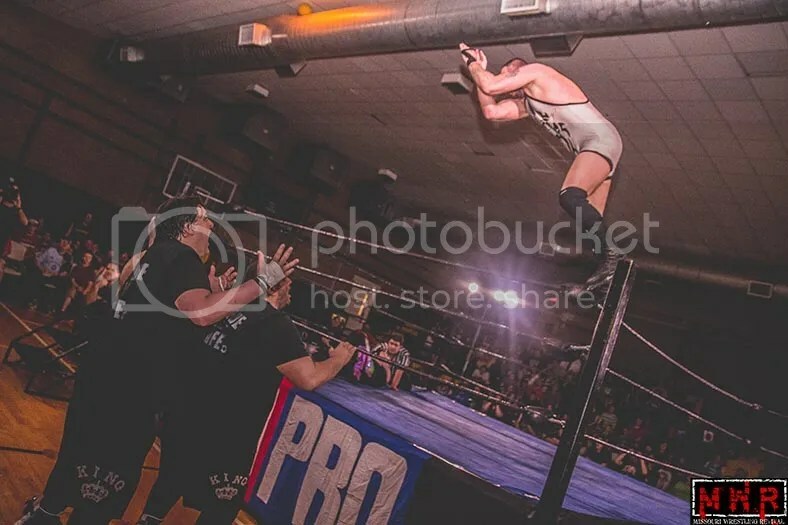 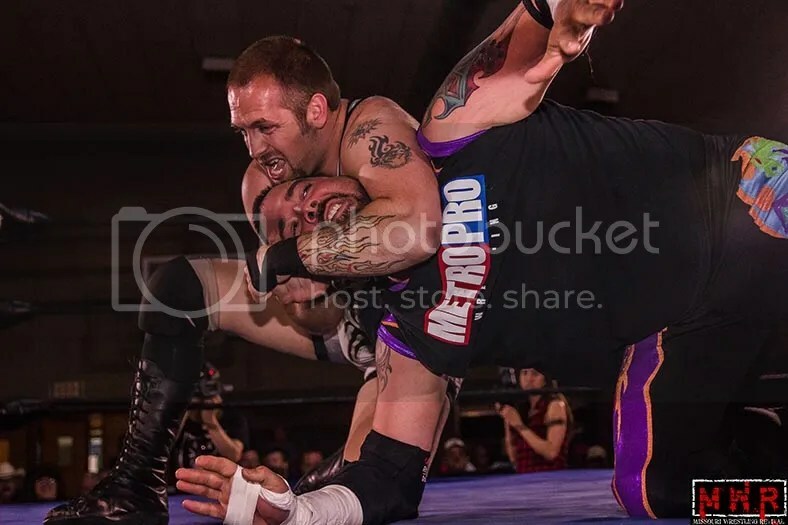 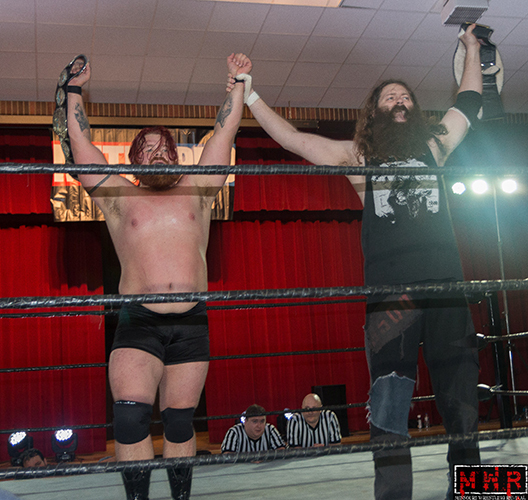 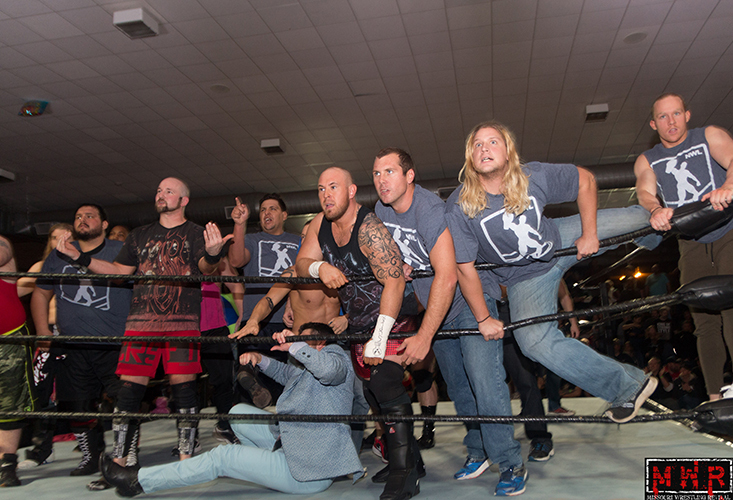 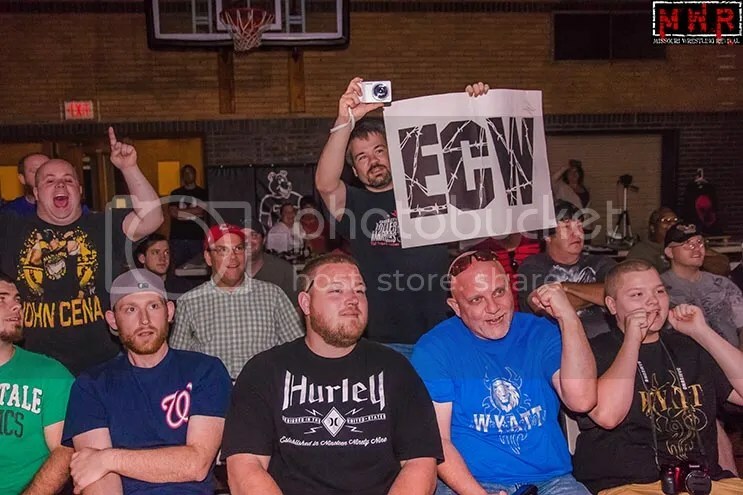 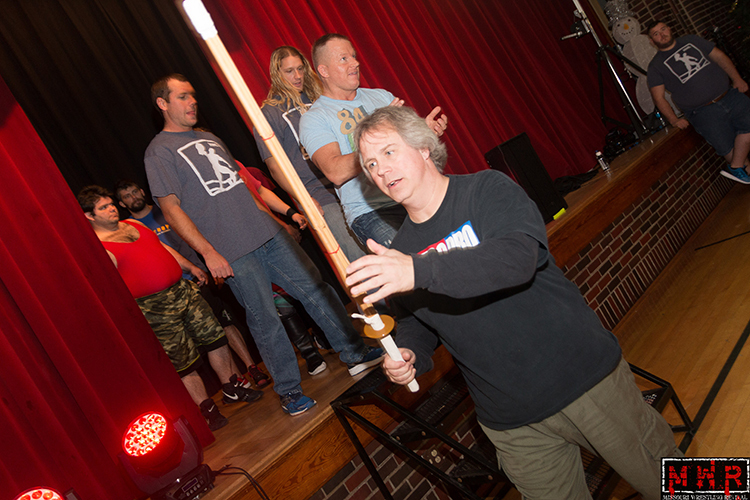 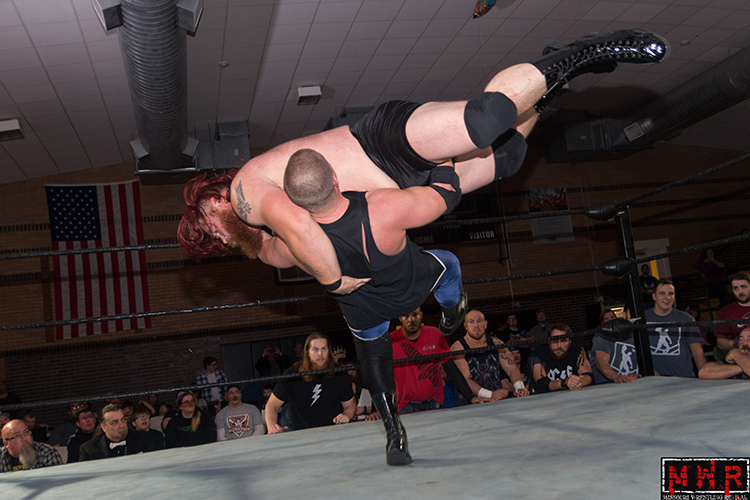 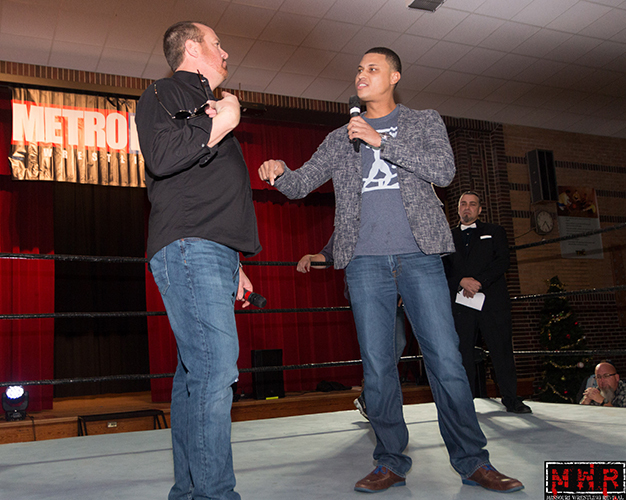 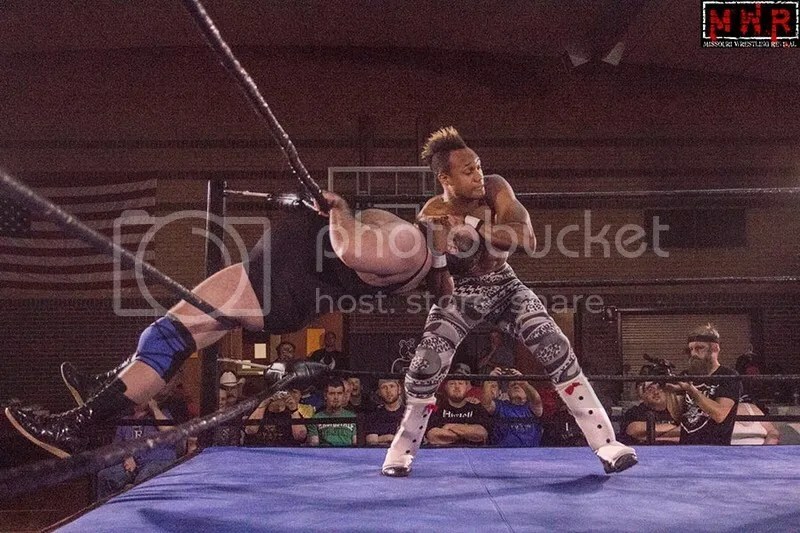 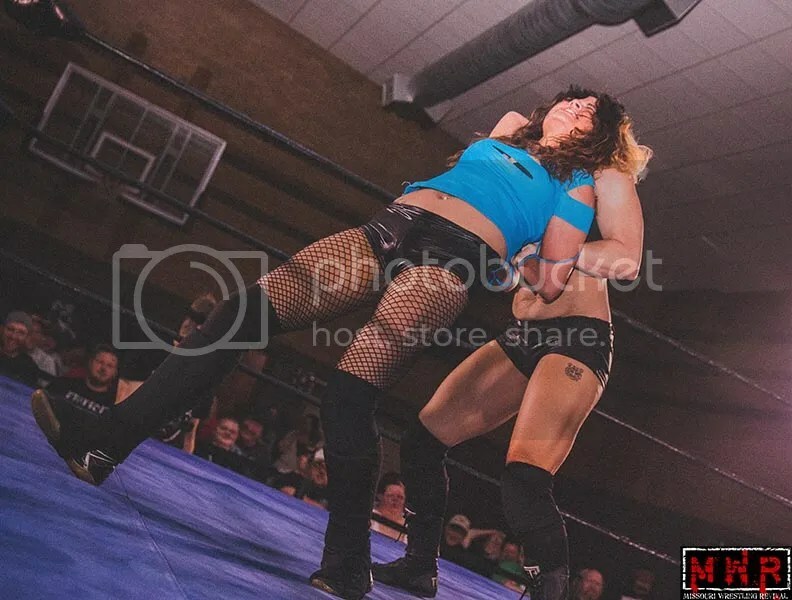 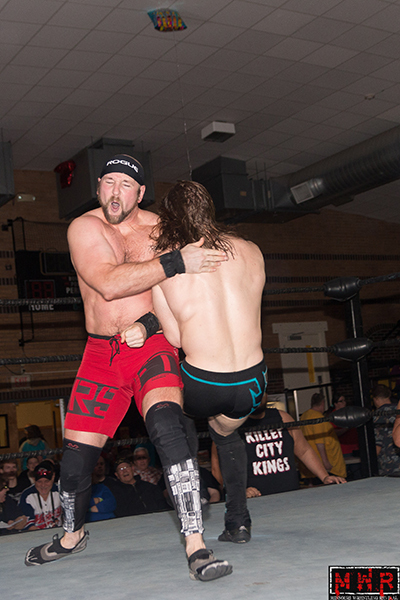 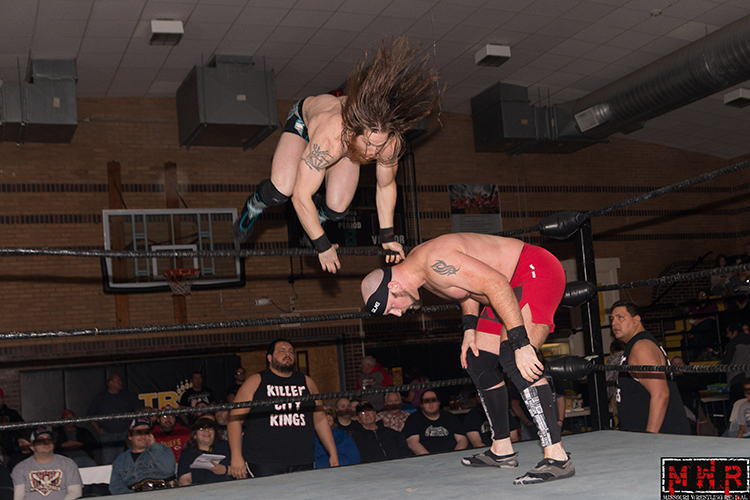 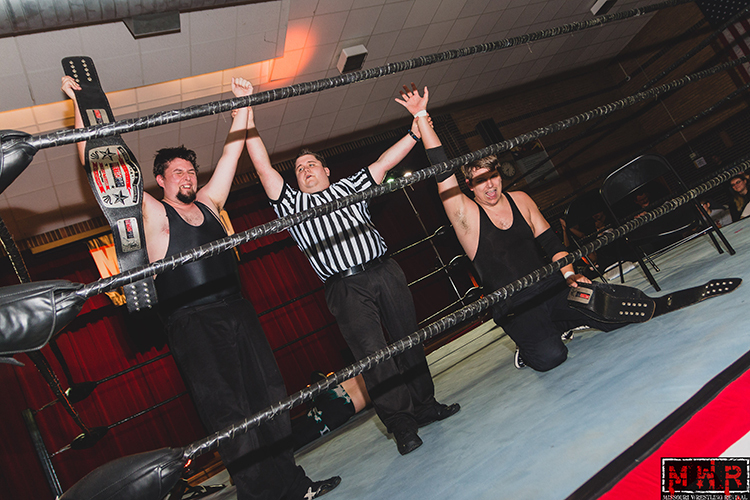 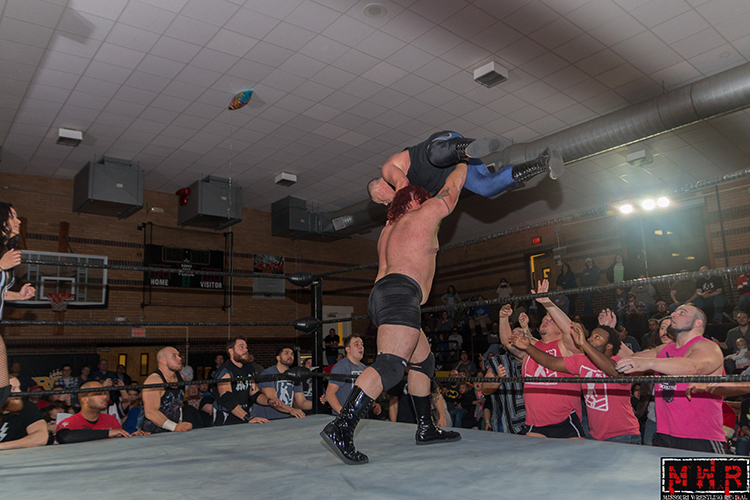 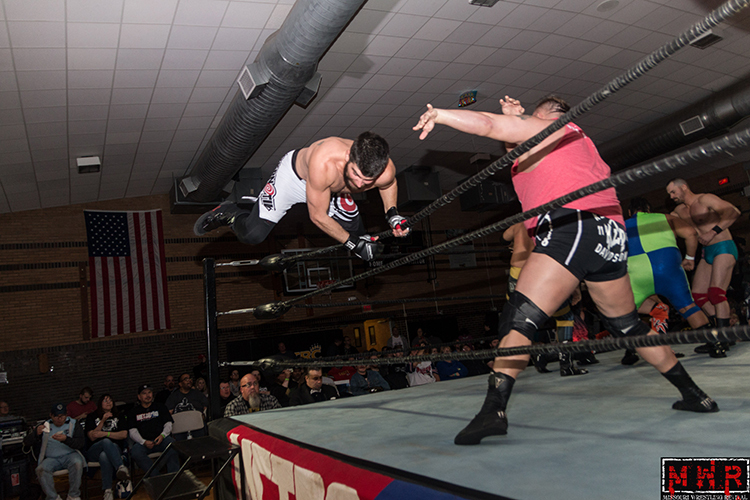 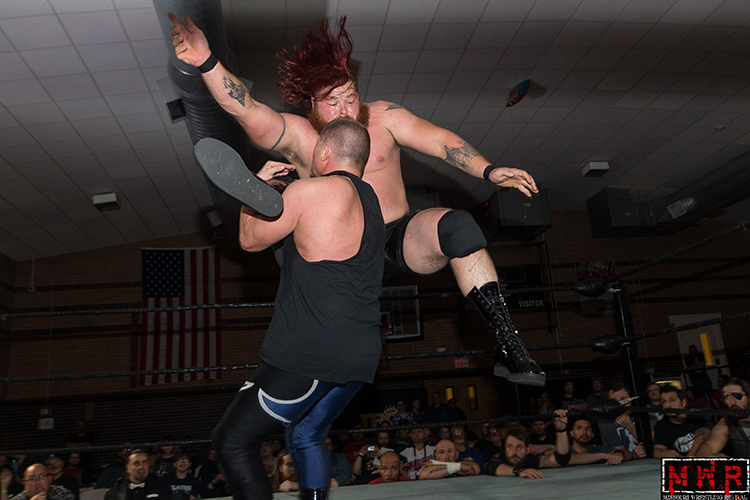 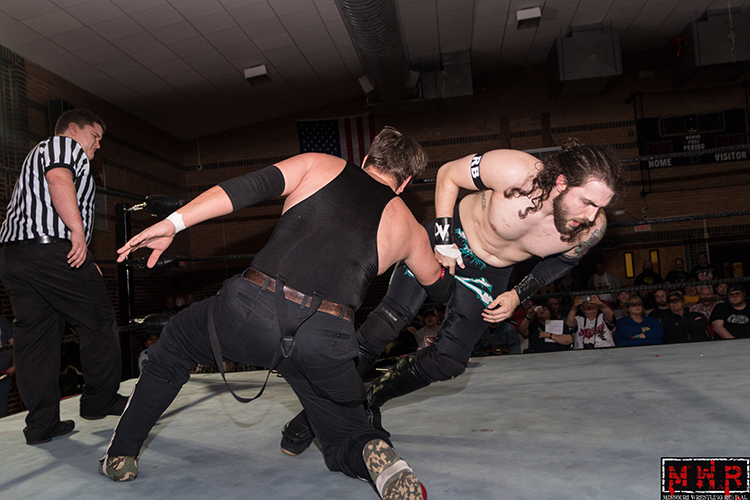 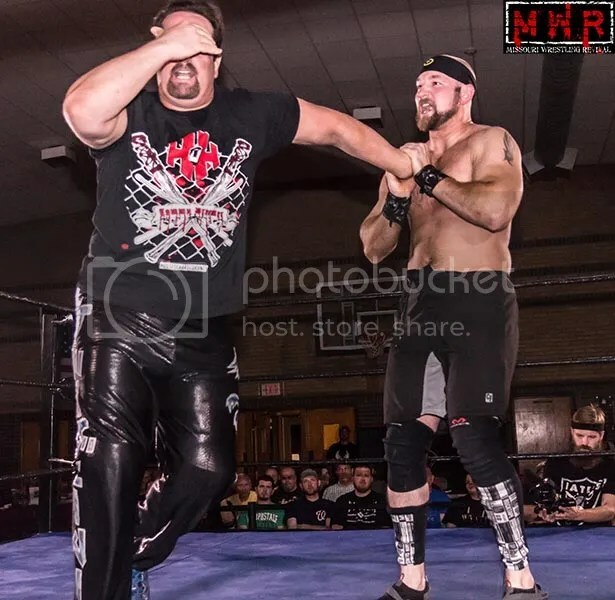 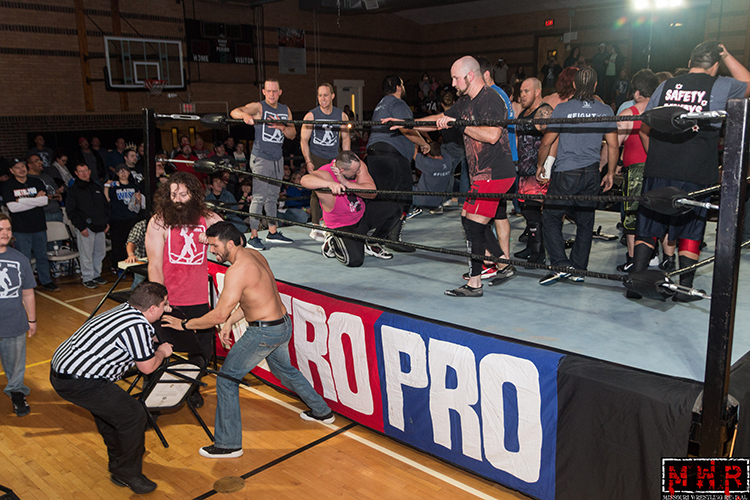 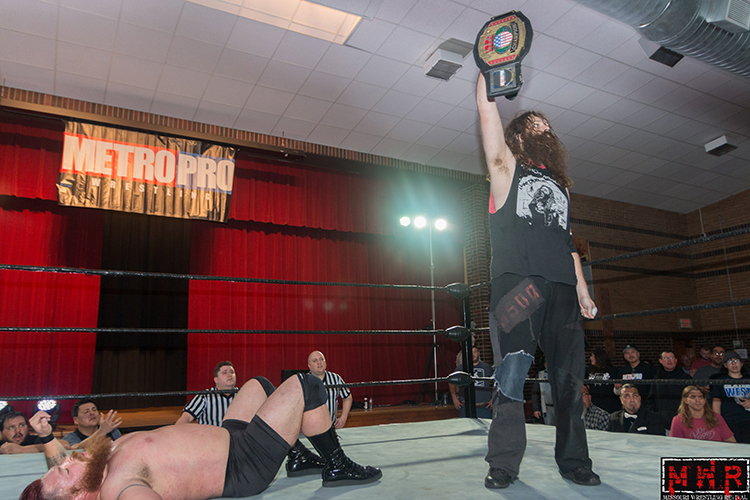 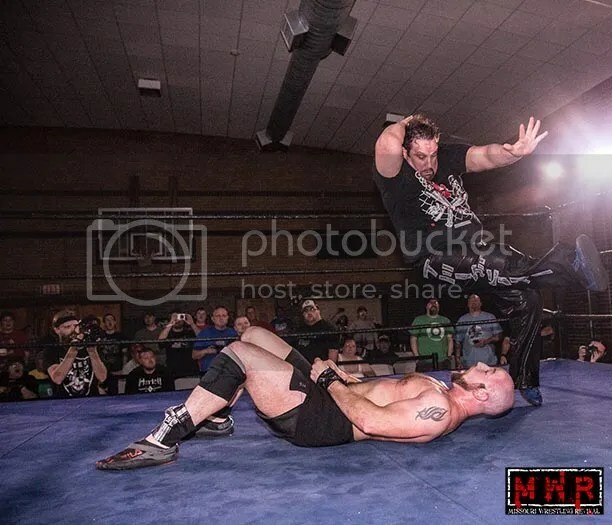 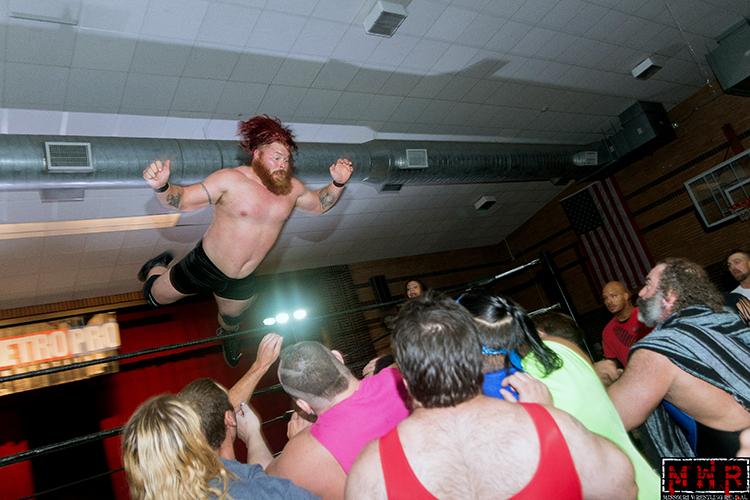 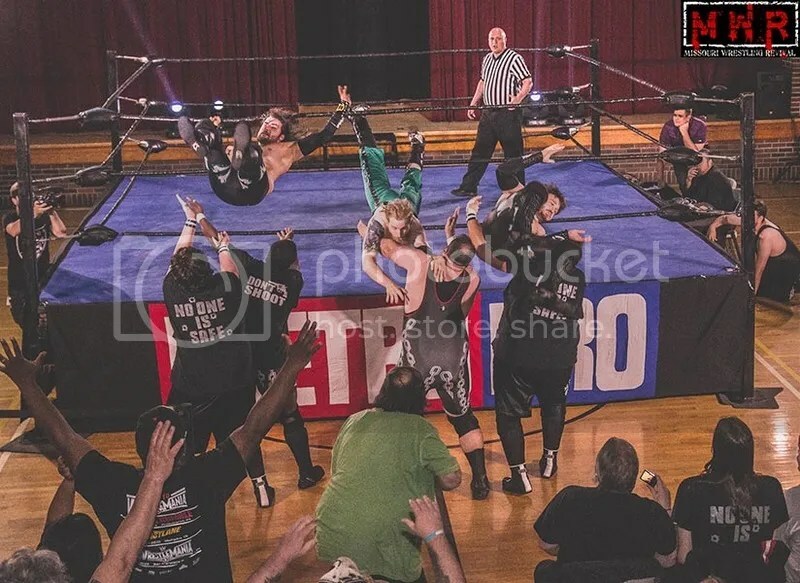 In the end, respect was earned and given in a magical night of wrestling that showcased everything that was right in the world of pro wrestling in the Midwest. 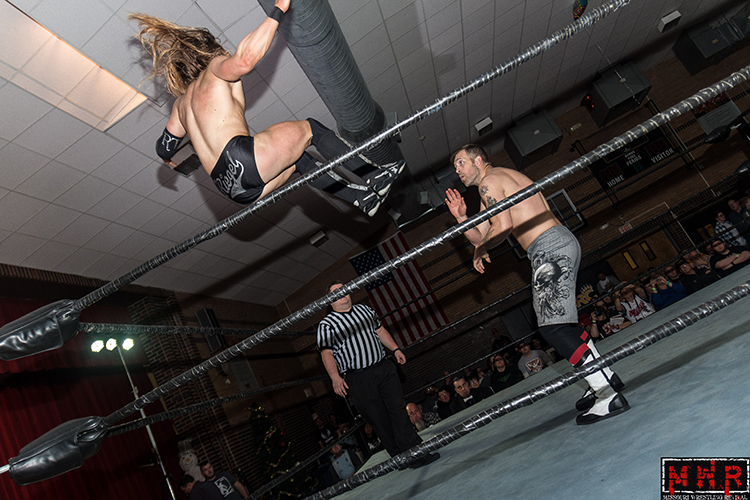 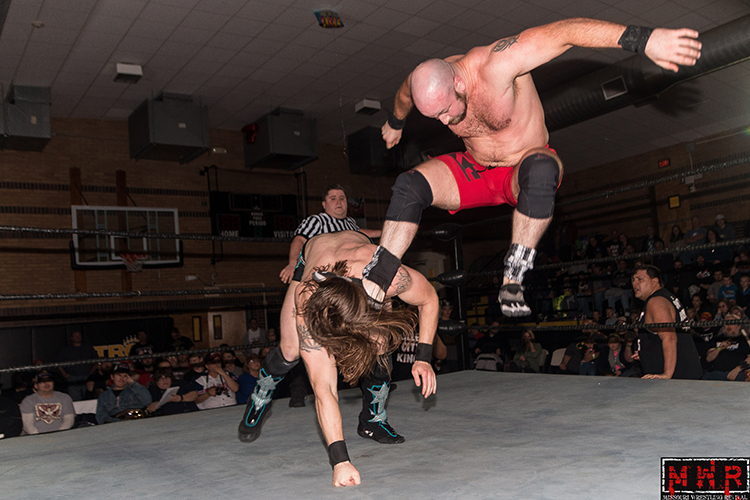 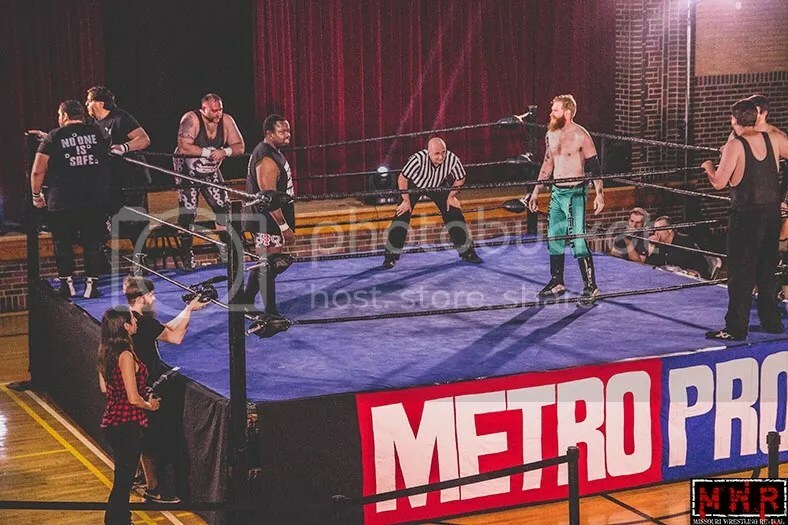 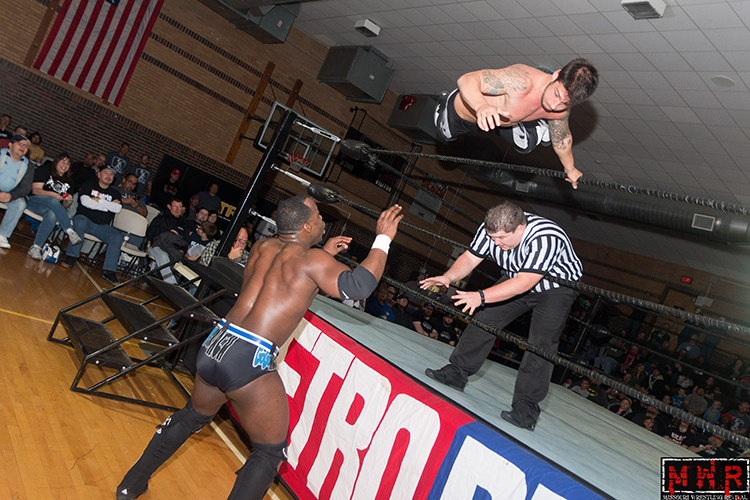 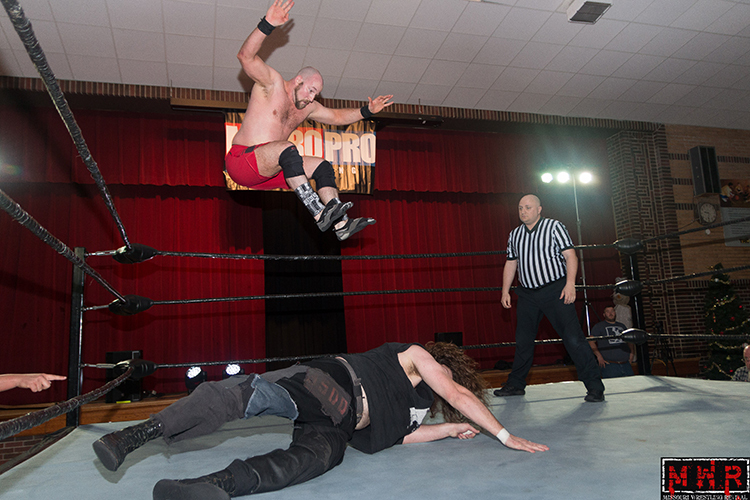 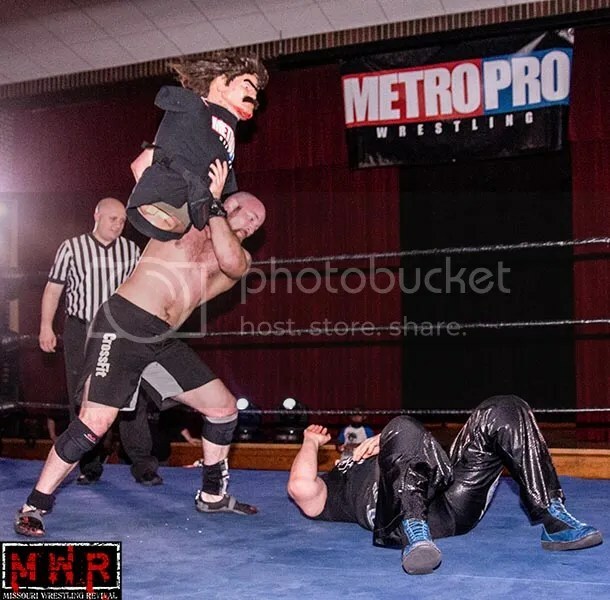 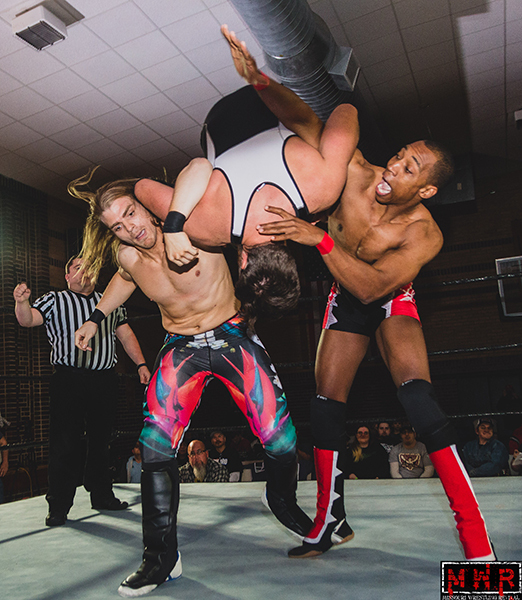 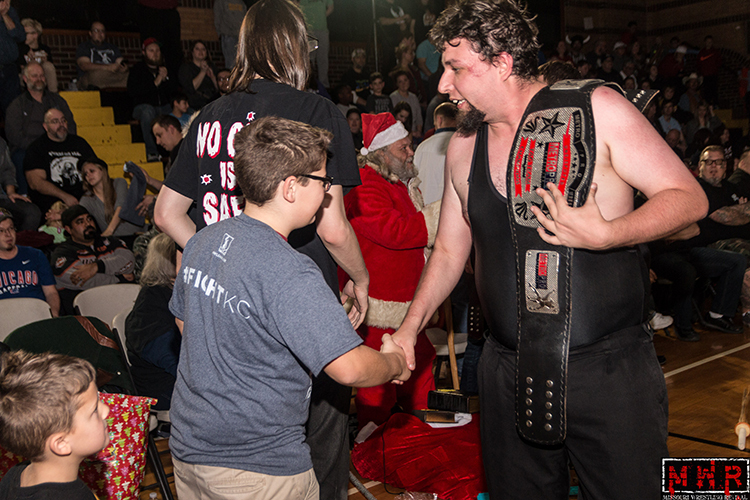 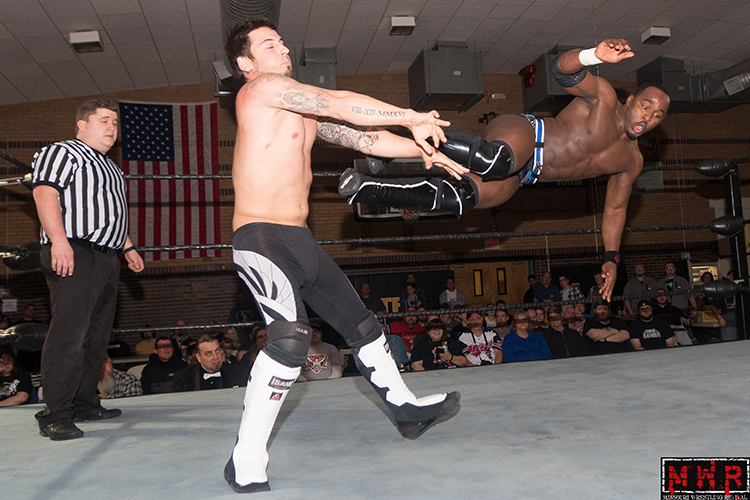 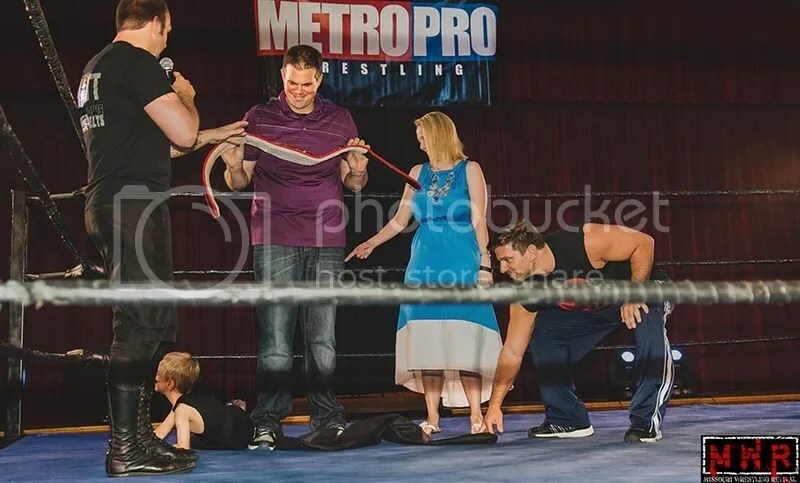 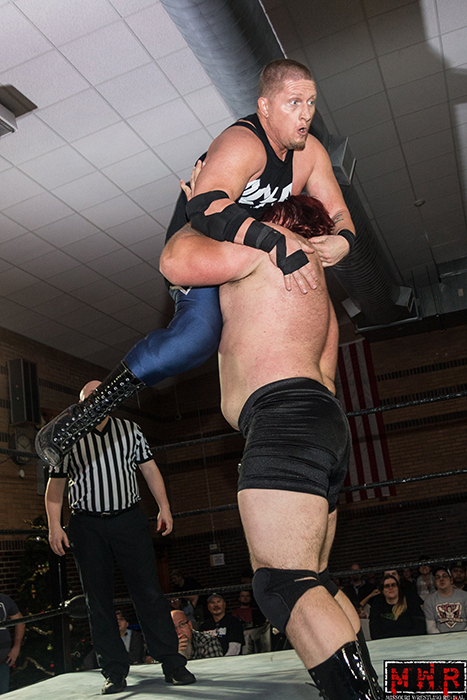 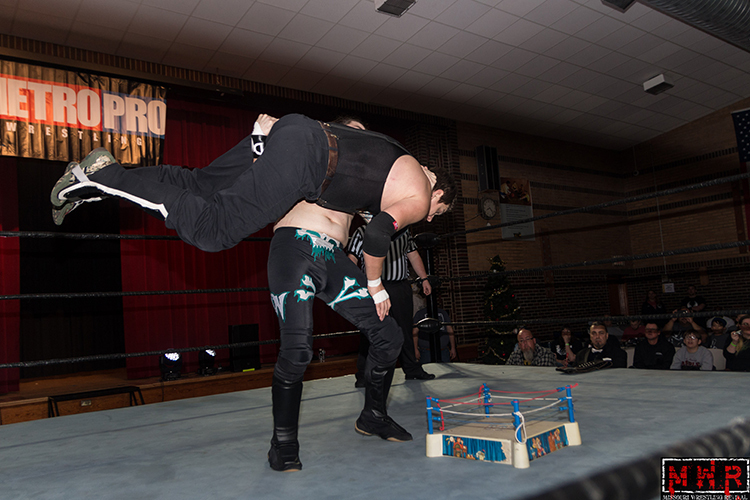 Though the night was filled with hard hitting action that saw the bad guys win some and the good guys prevail, it was the Metro Pro Wrestling title match that stole the Christmas spirit. 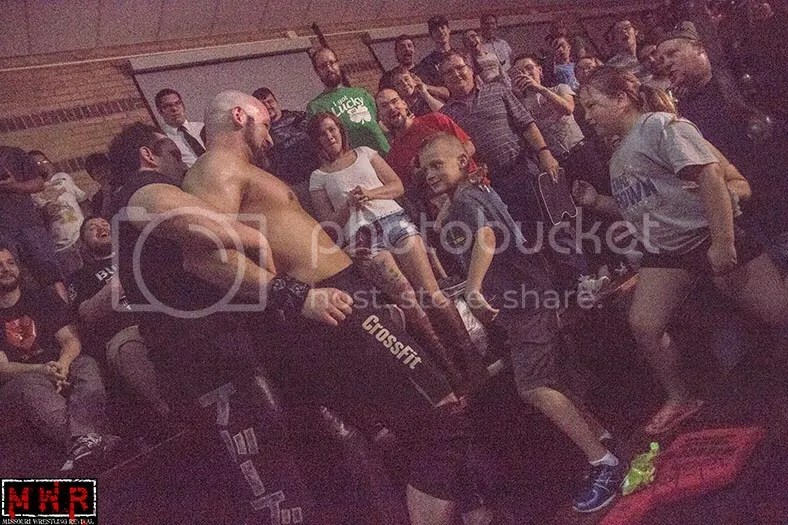 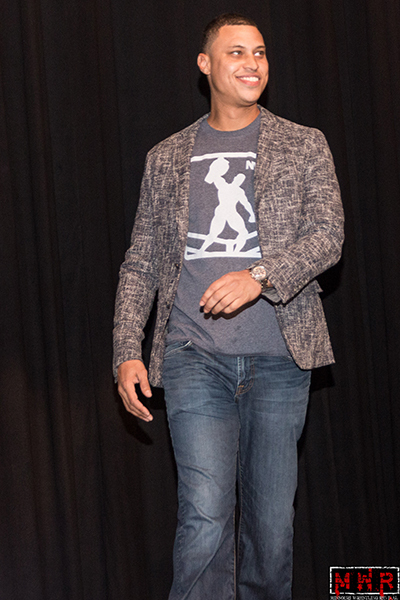 Shockingly, by a man the fans had shown love and respect to over the past few years. 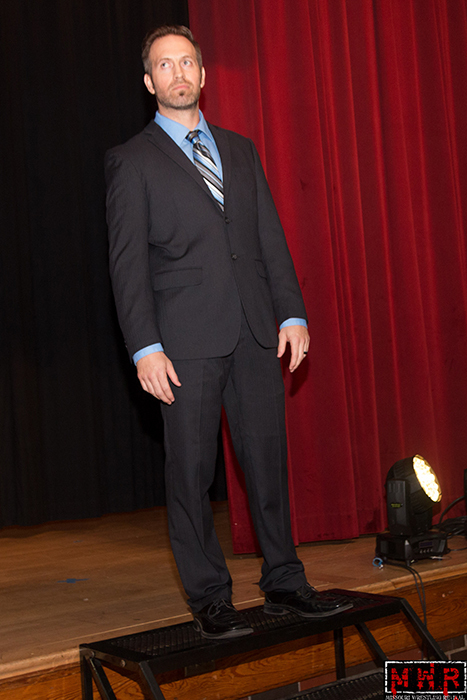 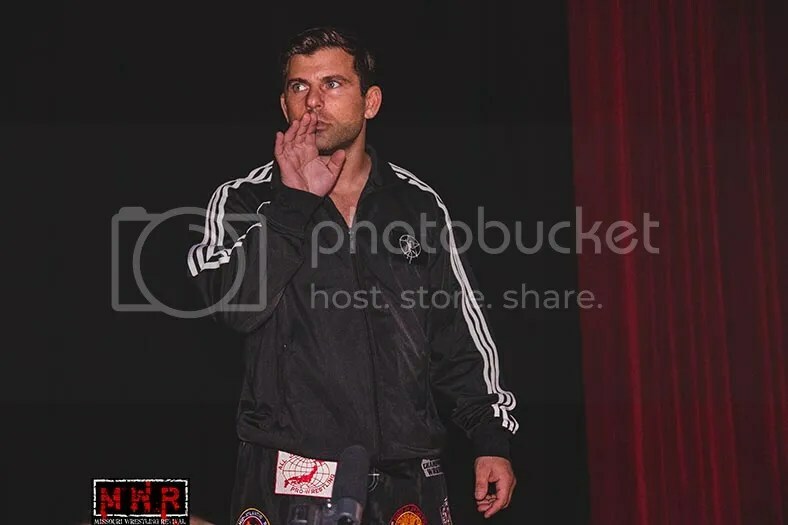 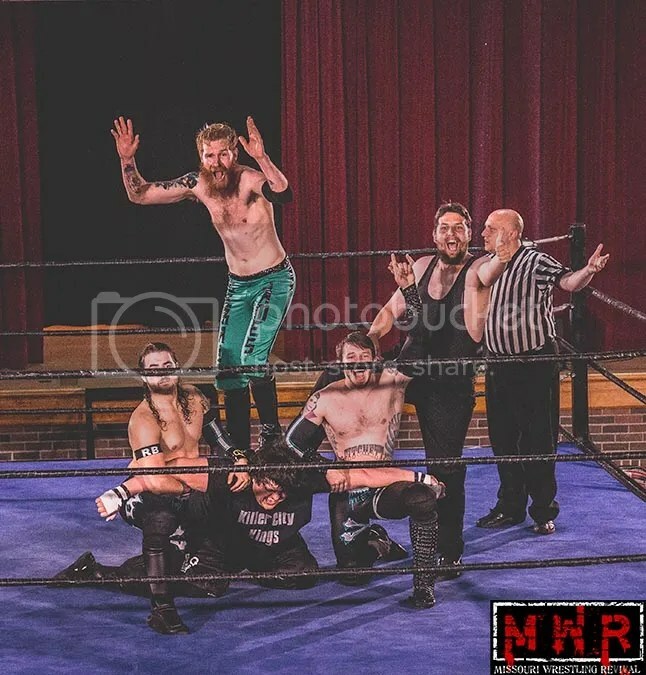 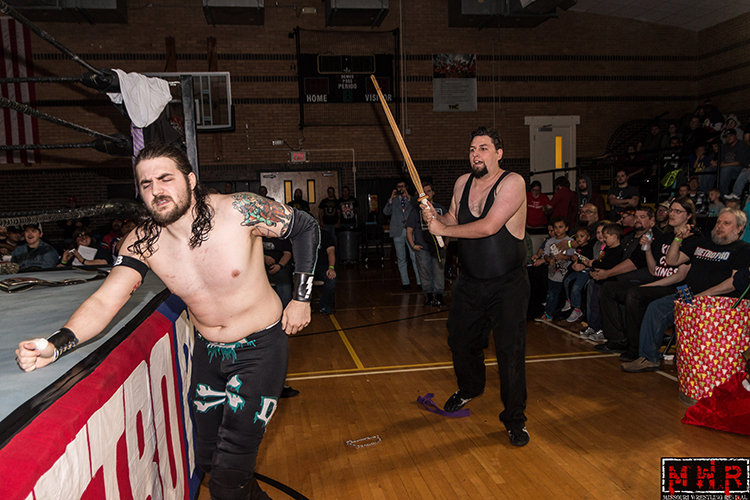 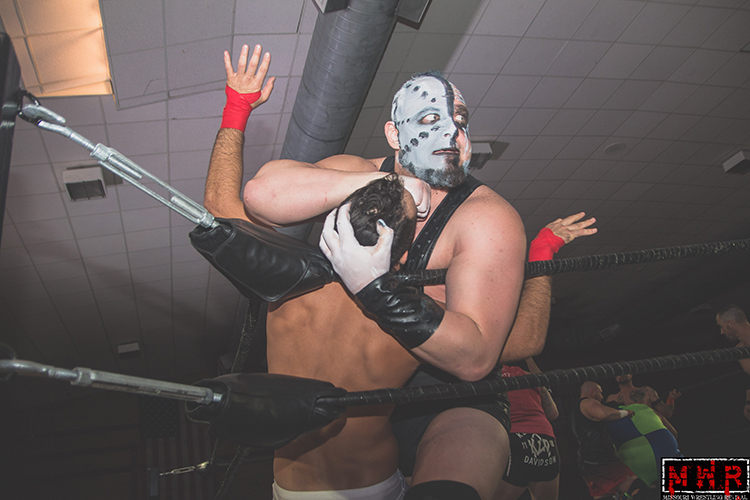 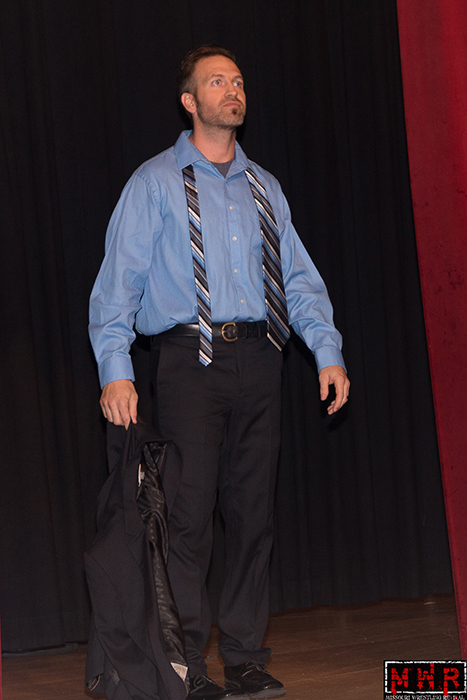 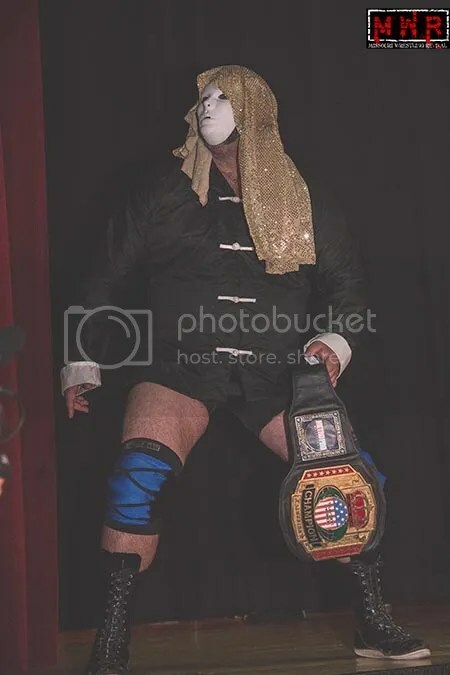 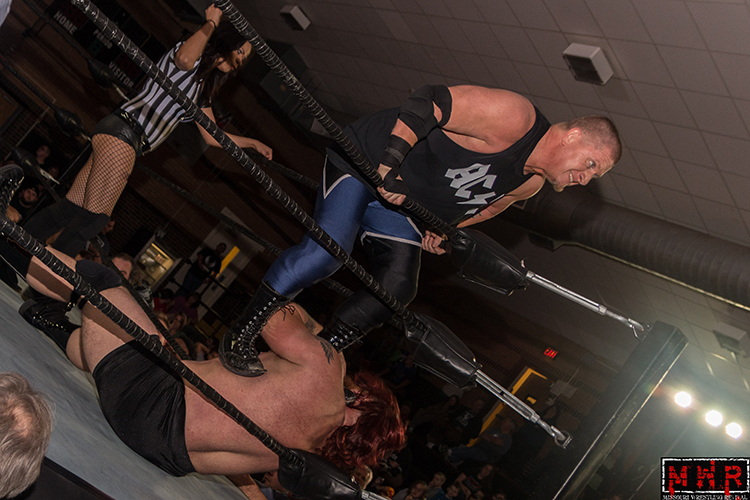 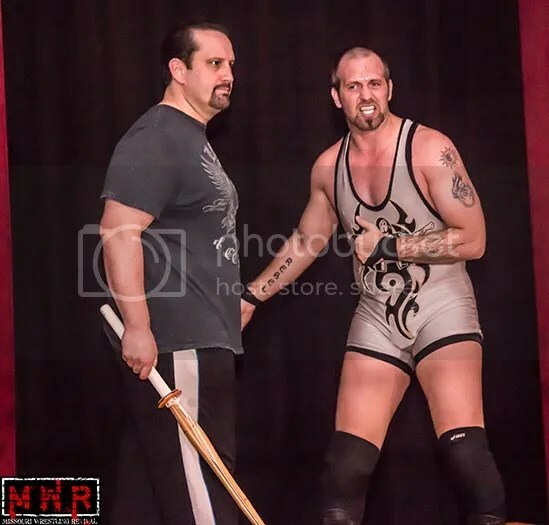 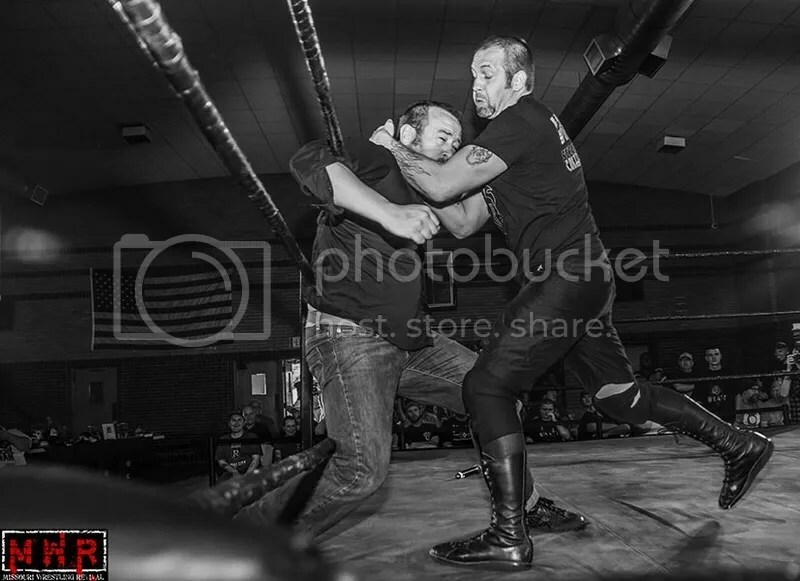 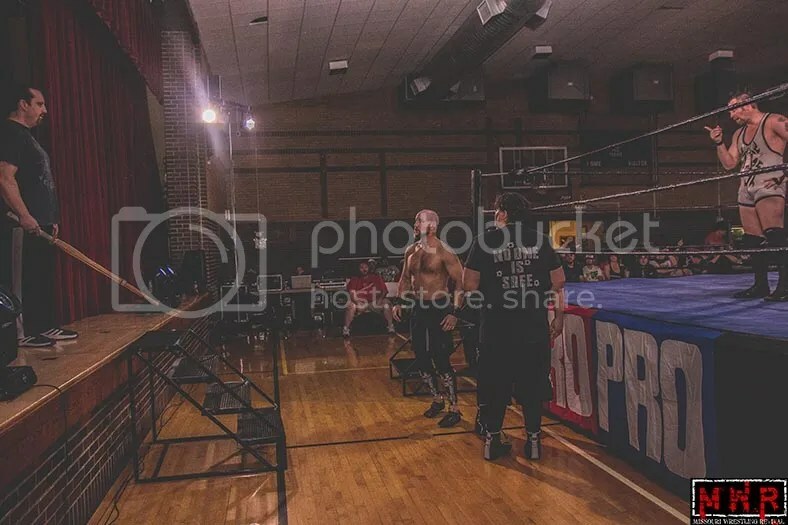 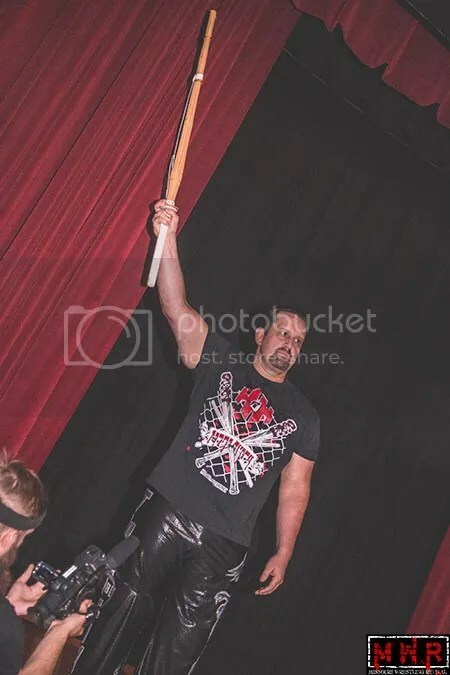 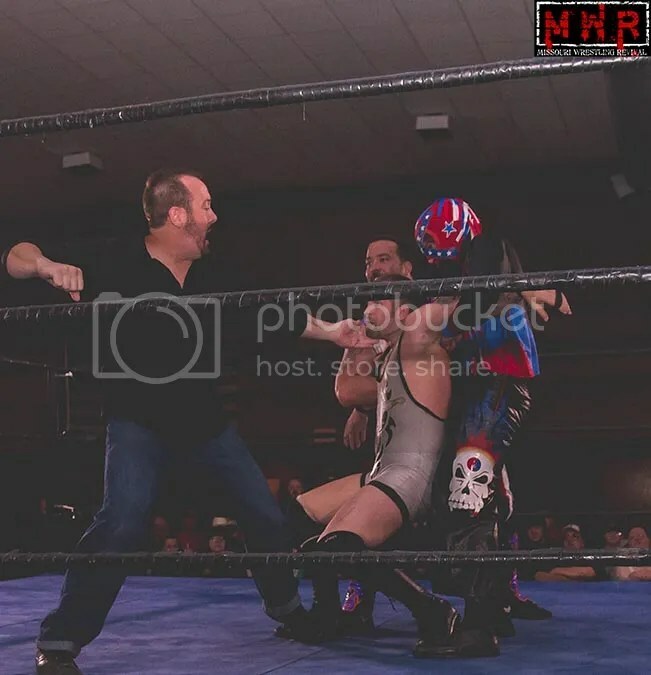 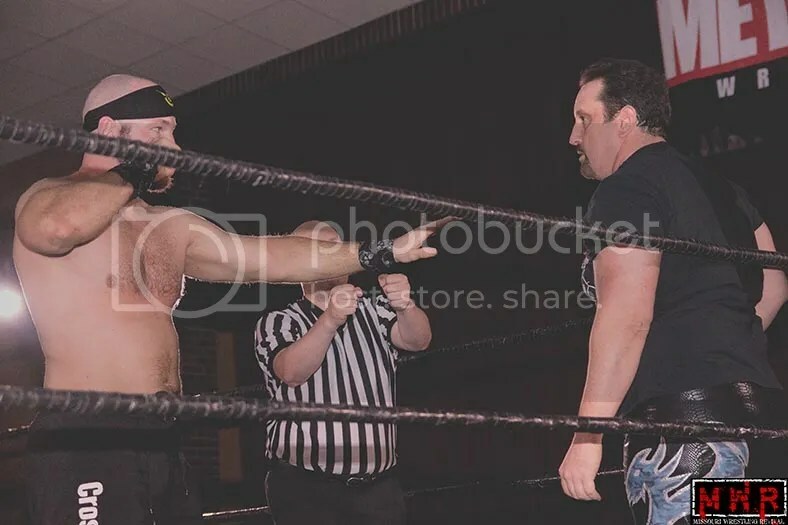 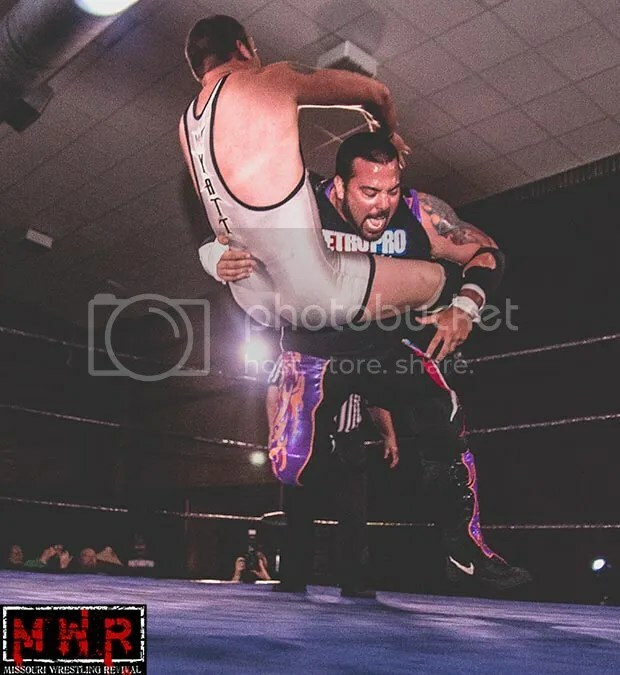 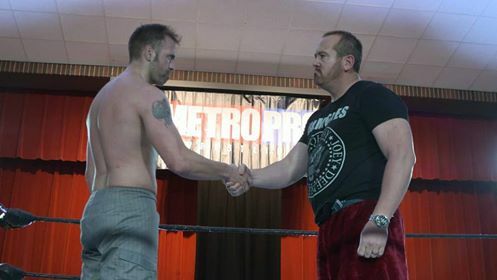 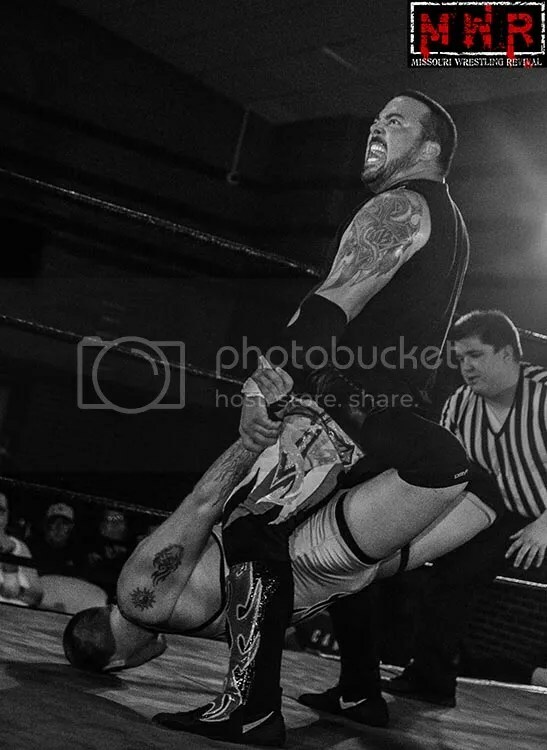 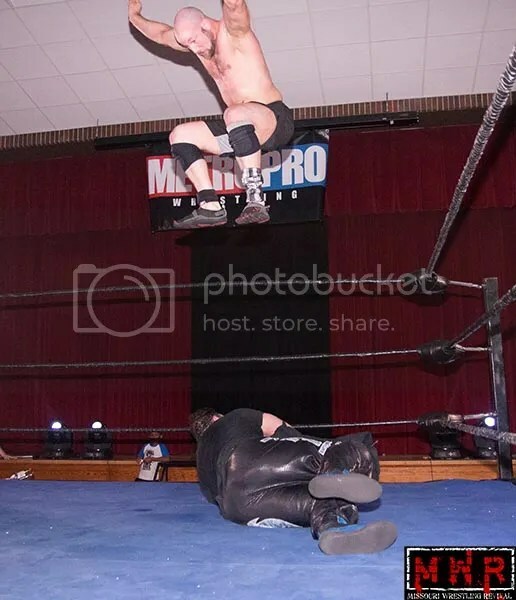 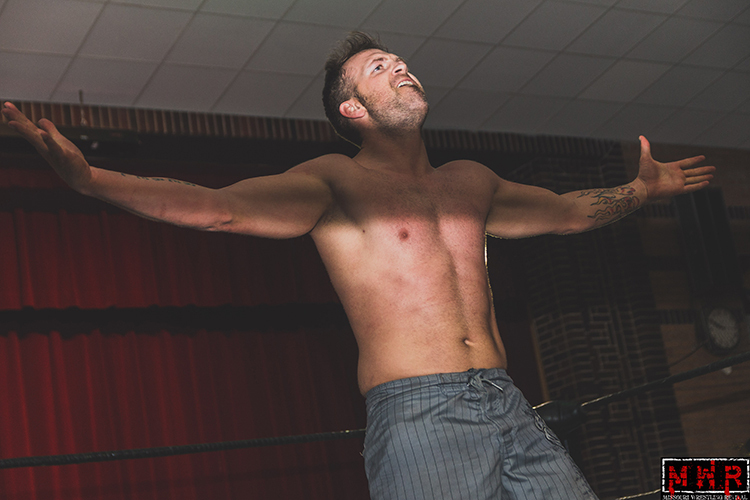 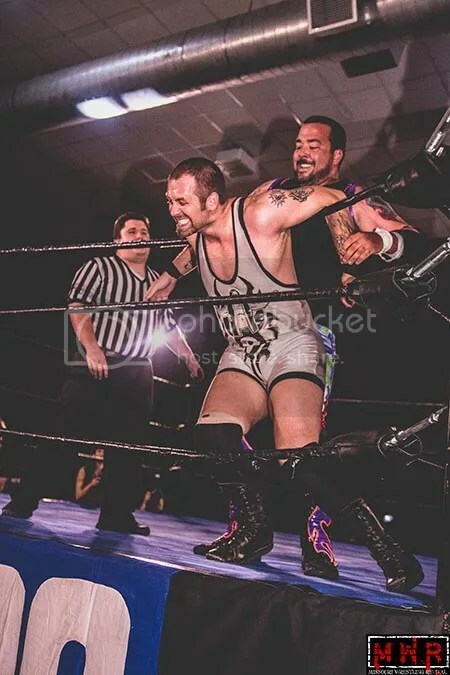 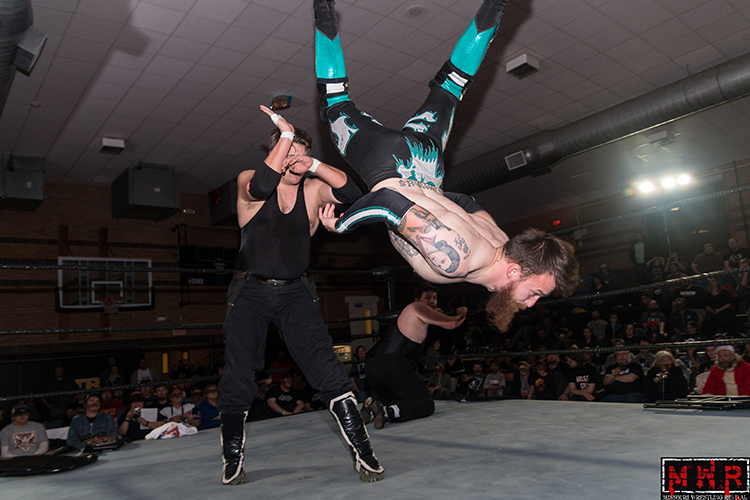 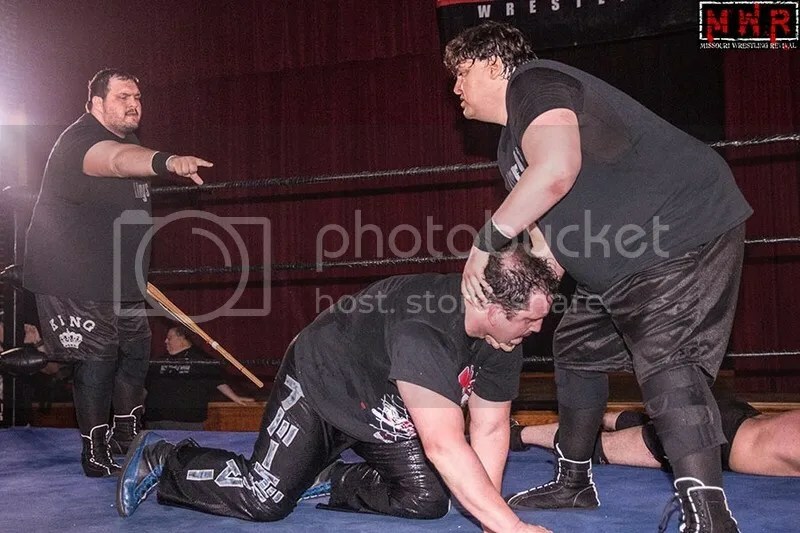 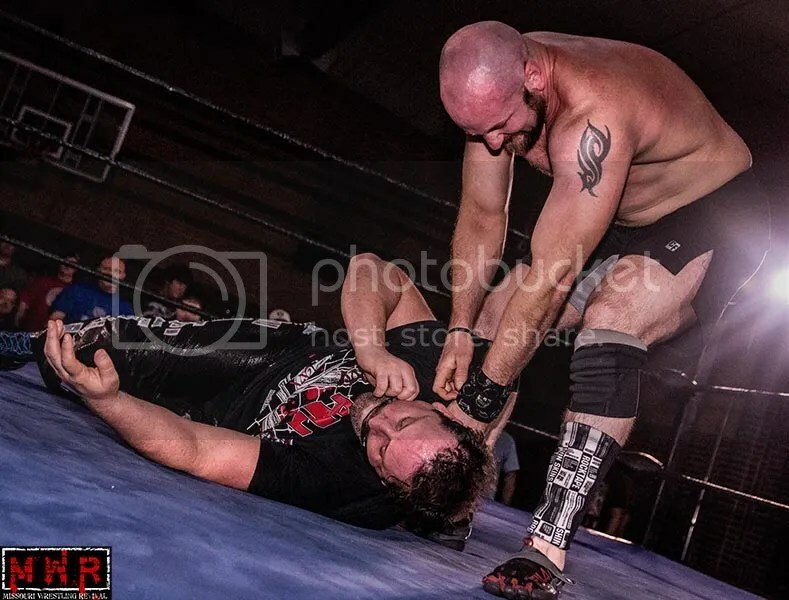 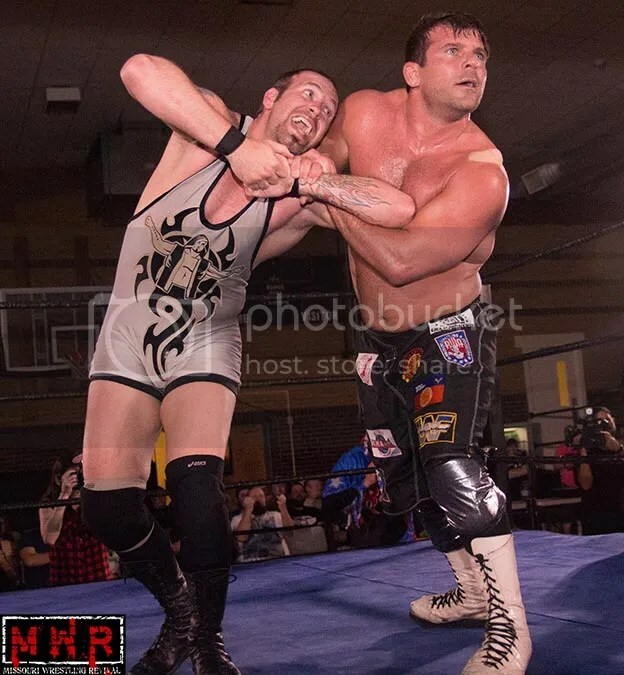 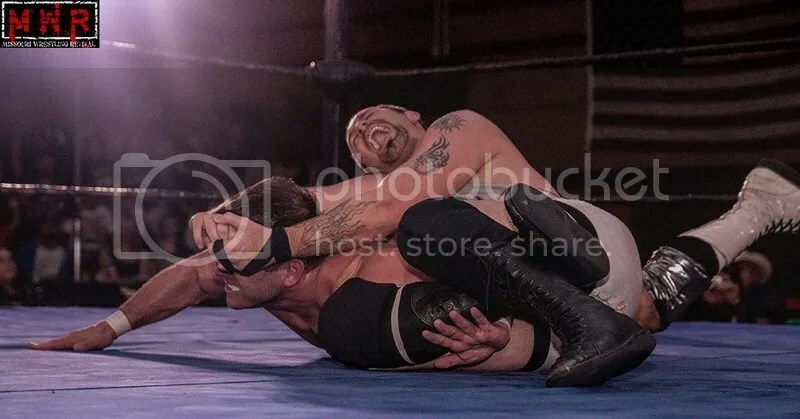 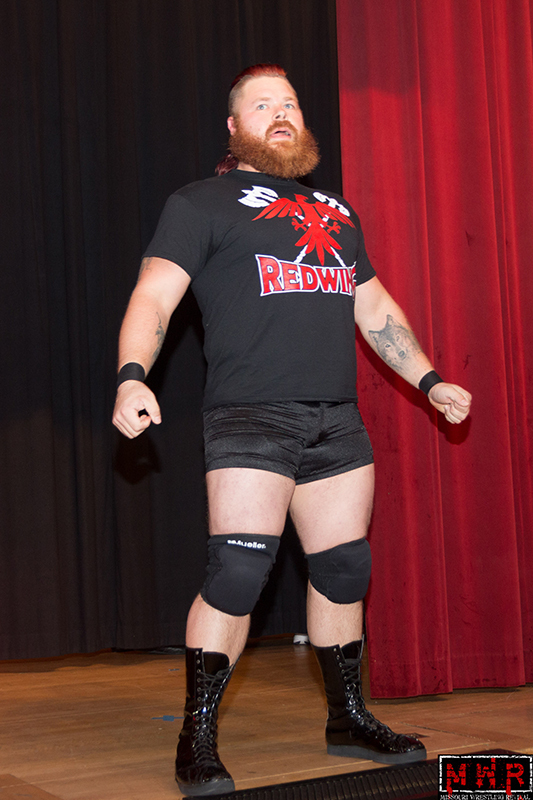 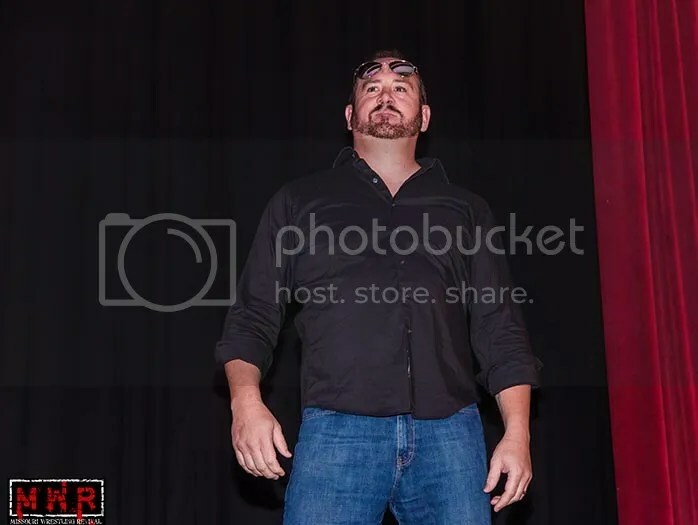 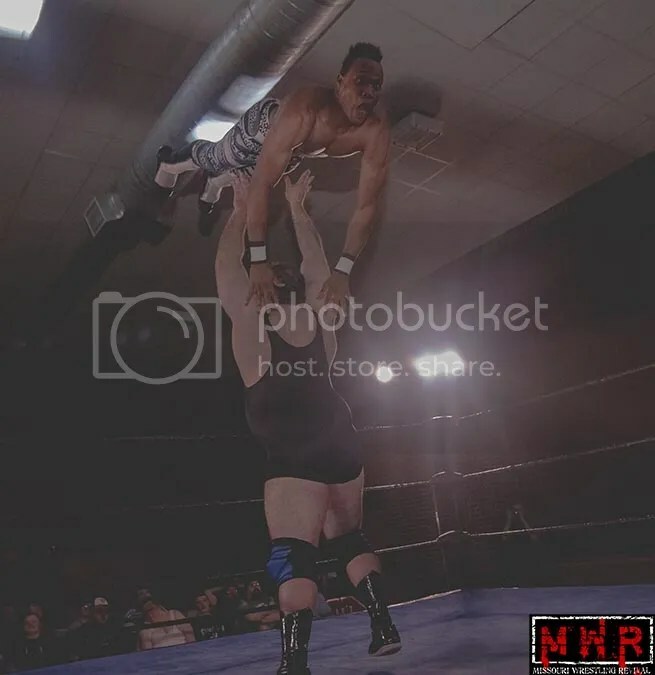 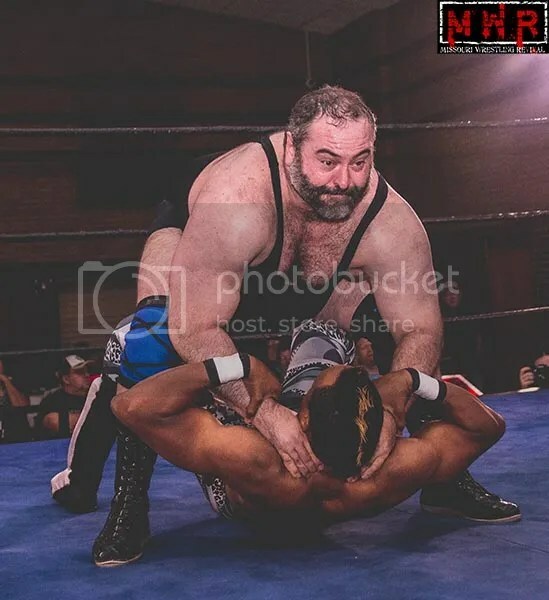 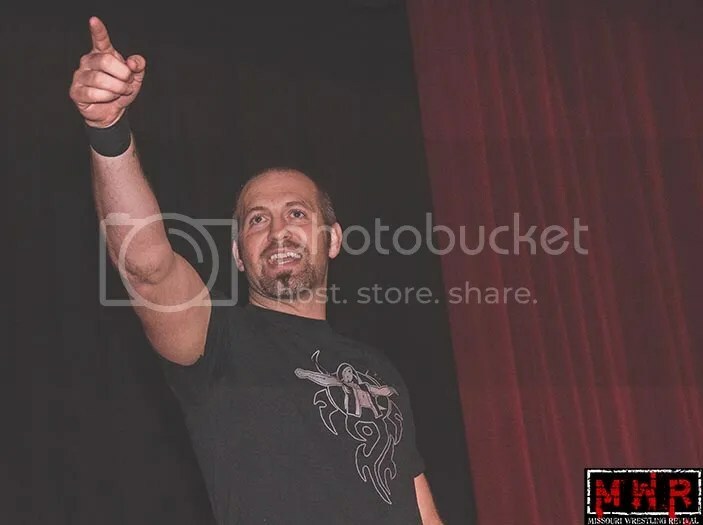 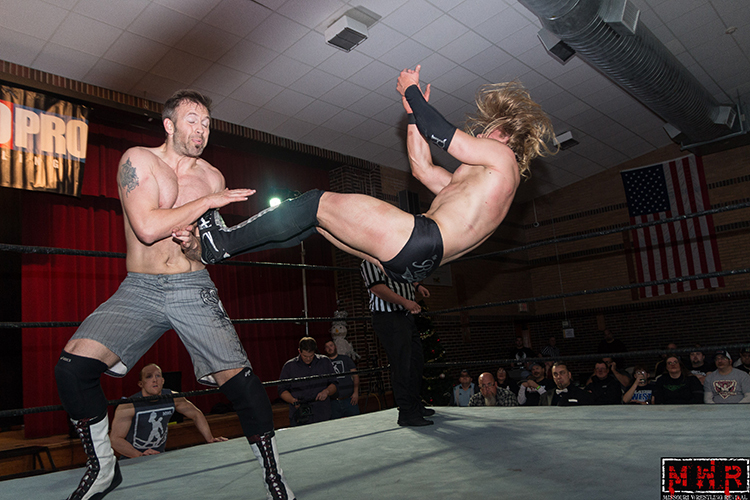 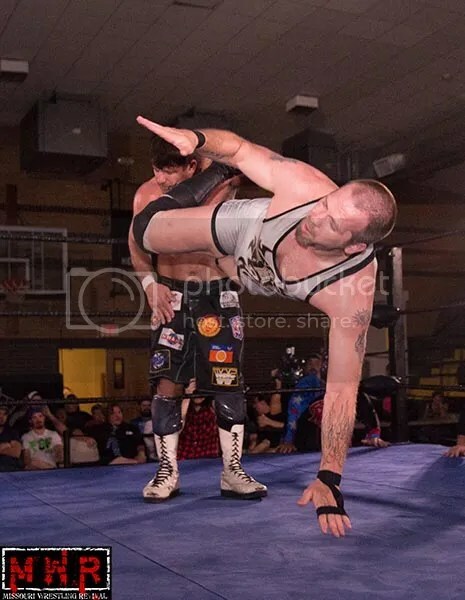 That man was Michael Strider, who would play a key factor in the MPW championship match between the reigning Kingpin Jeremy Wyatt defending his belt against the former champion Derek Stone. 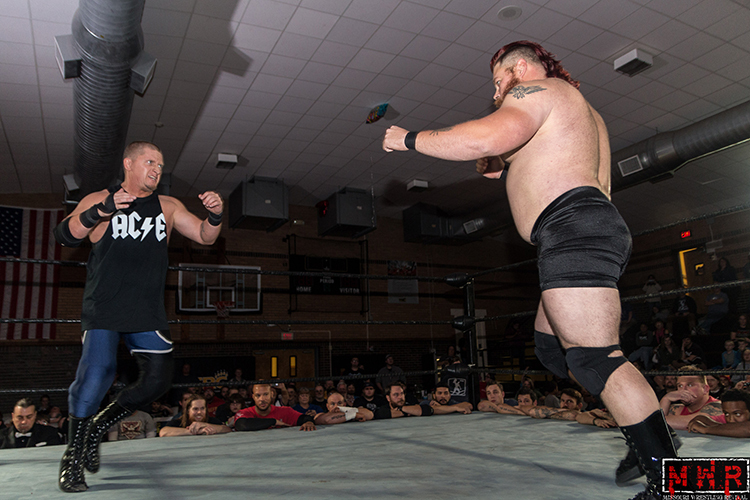 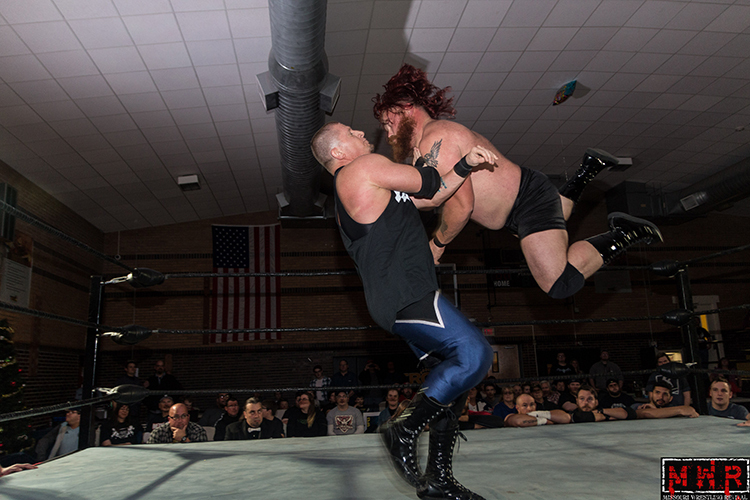 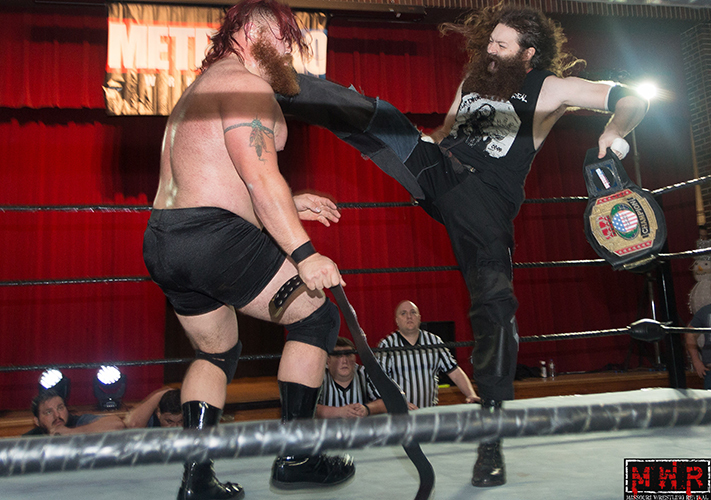 The title match featured Wyatt, a man that many consider the best wrestler during the MWR years against Derek Stone a man that that has earned the reputation as one of the most dangerous men in the ring. 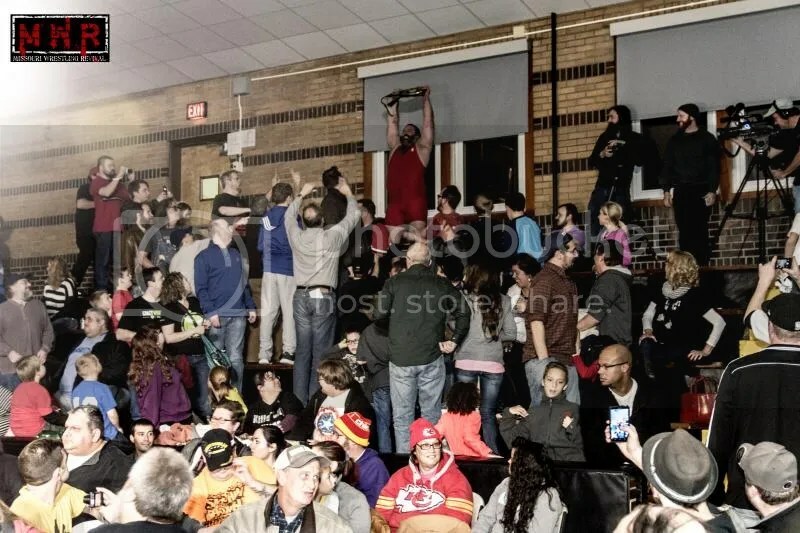 There is no doubt that Stone is unstable and capable to do whatever he can to hurt his opponent, much less defeat him, but how he was able to pull this off is still one of the biggest mysteries of 2014. 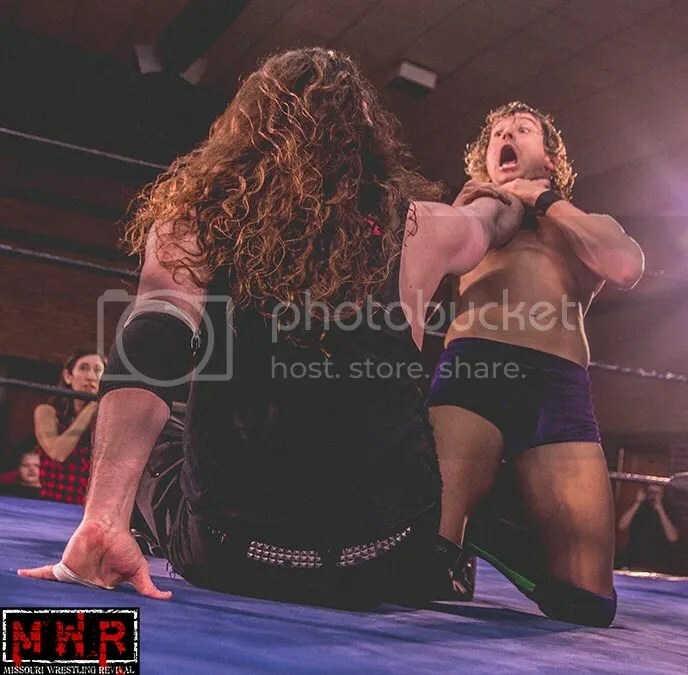 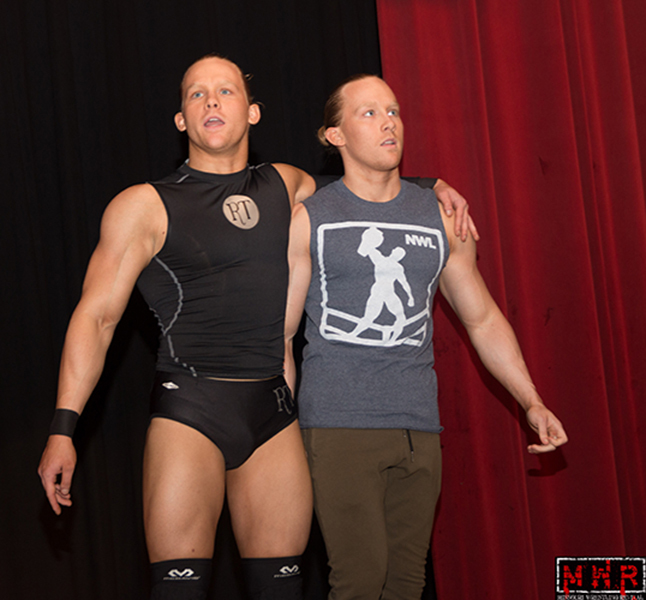 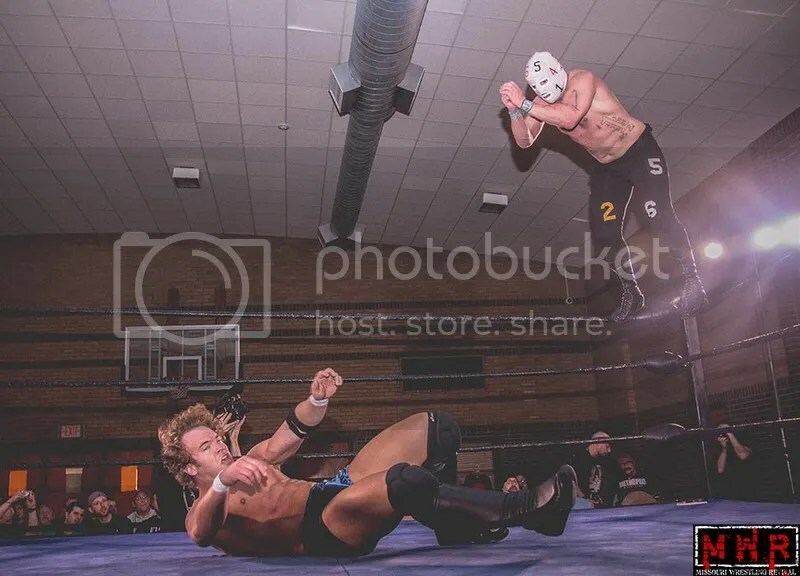 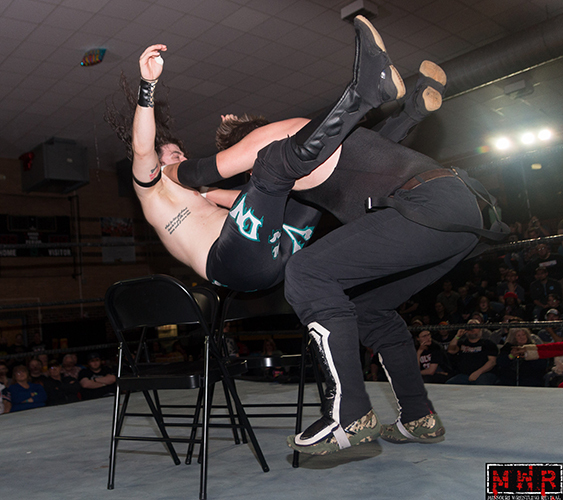 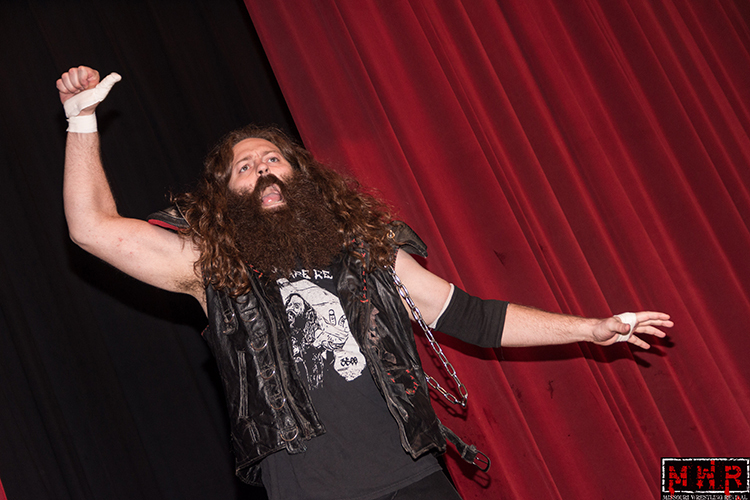 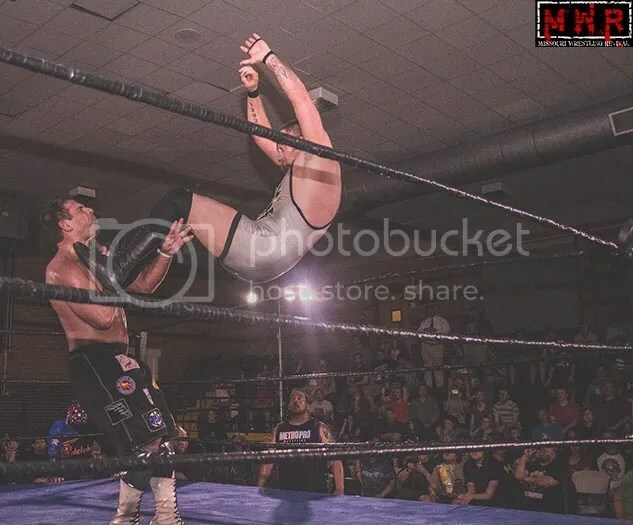 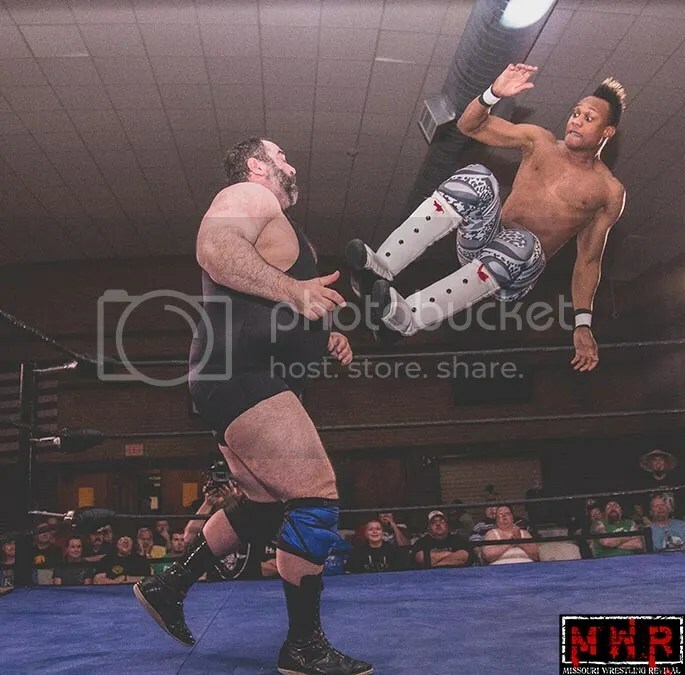 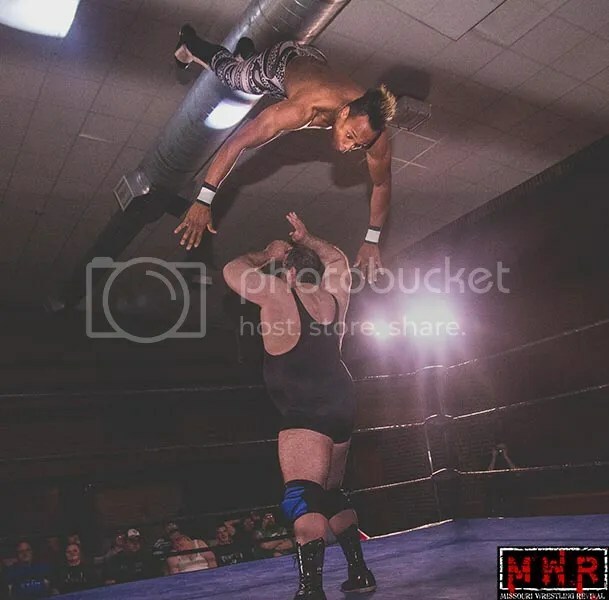 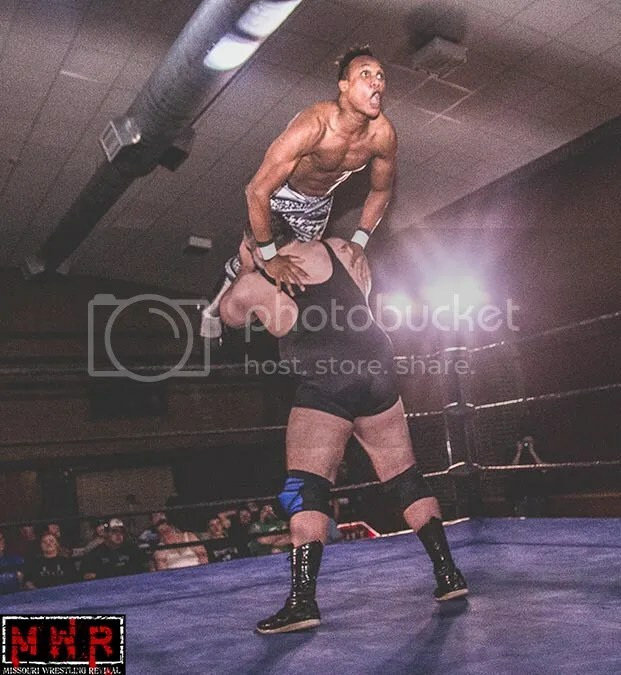 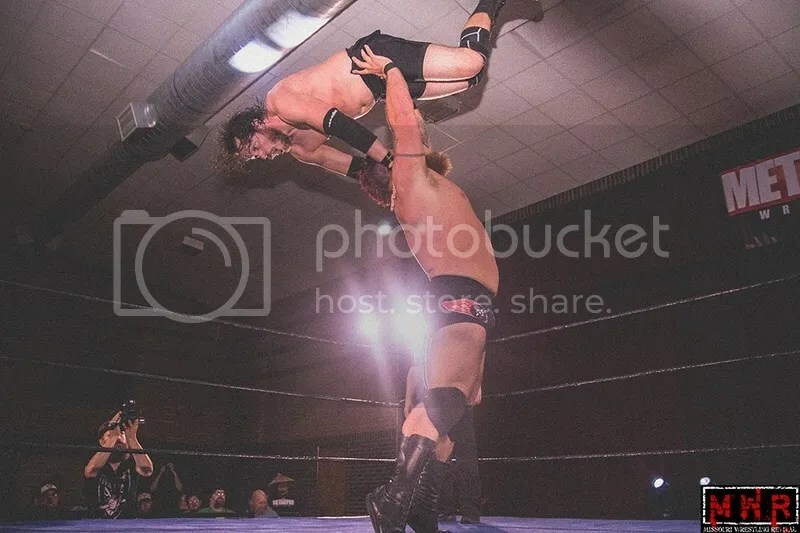 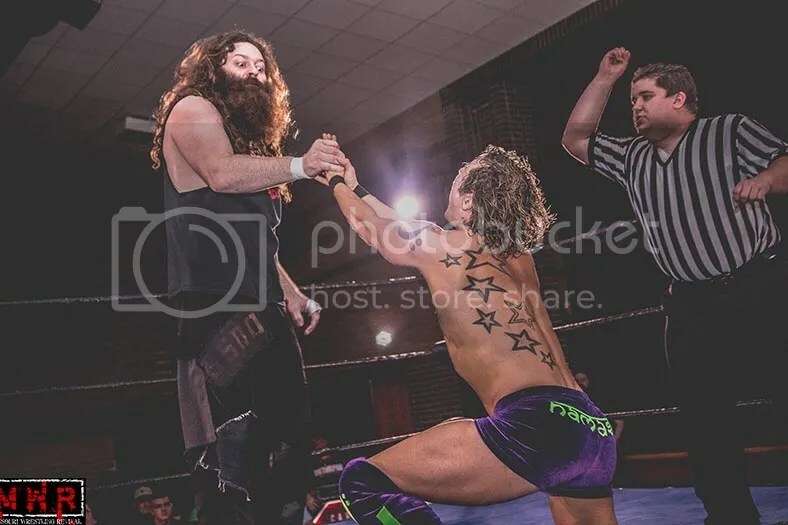 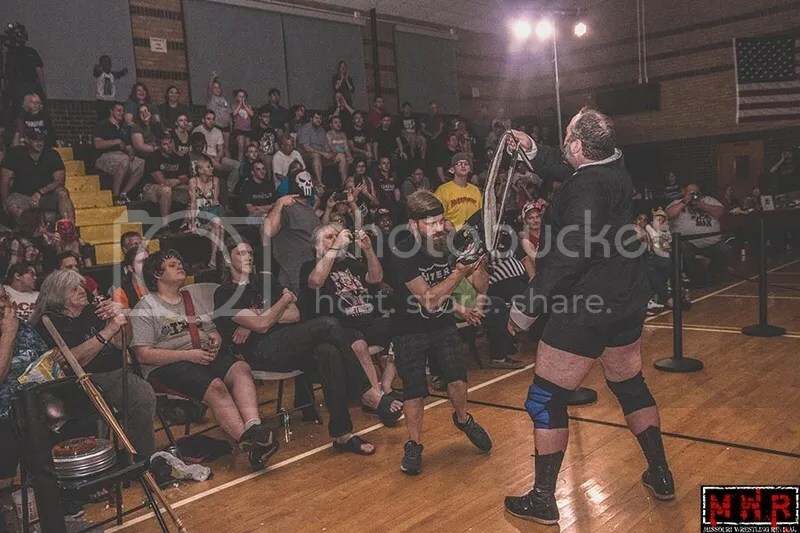 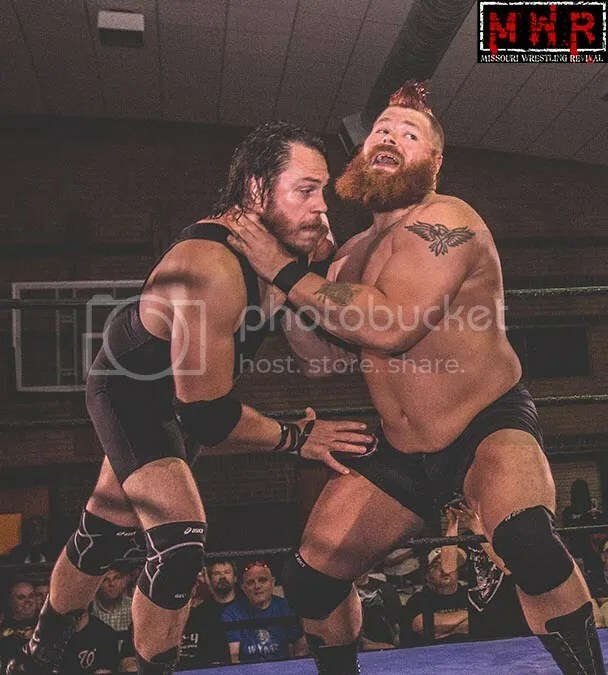 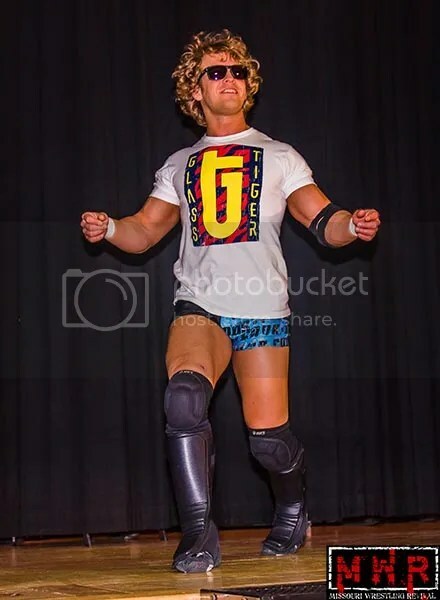 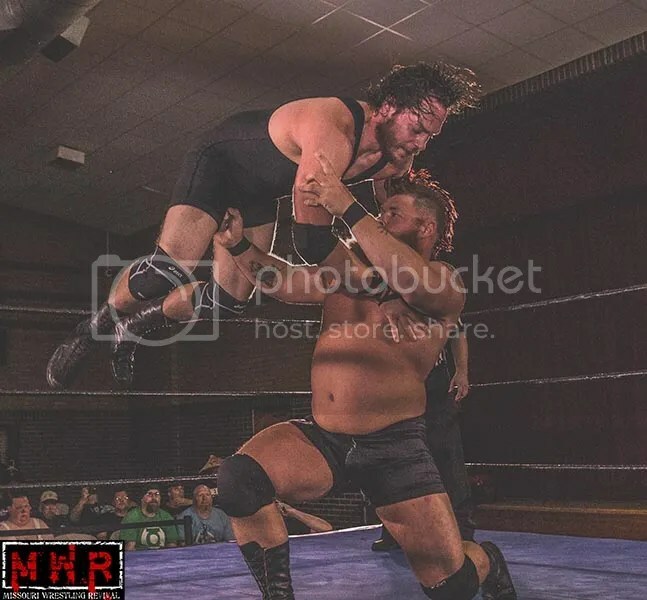 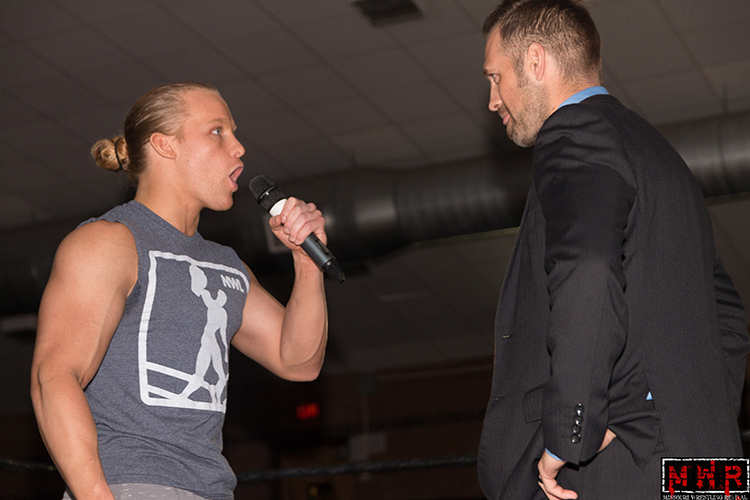 If defending the MPW belt against a former champion was not enough, Wyatt was signed to meet the young star Geek Singh in a match earlier in the night. 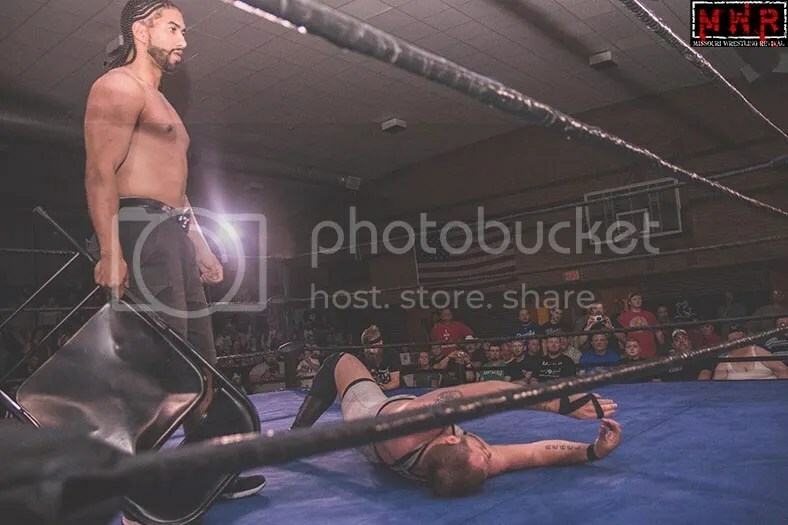 While the results from that match would show another victory for the champ the aftermath could not truly be put to words. 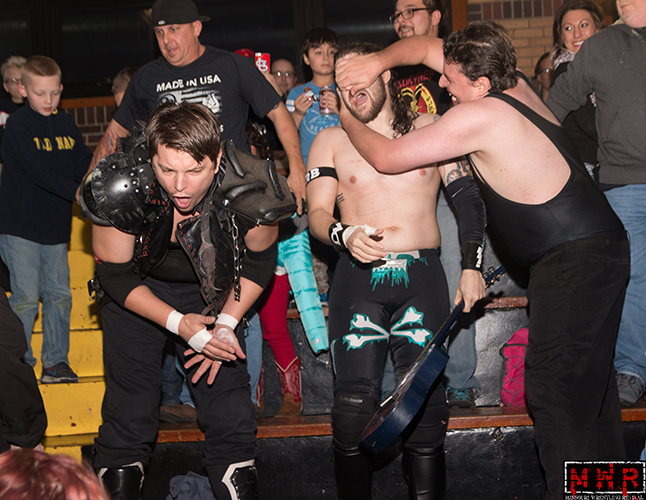 Wyatt would suffer an injury thanks to the hands of his former partner Mark Sterling and The Killer City Kings when they distracted Wyatt long enough to allow Derek Stone to attack from behind leading to all four men laying into Wyatt with evil intentions before Redwing and Michael Strider were able to stop the madness. 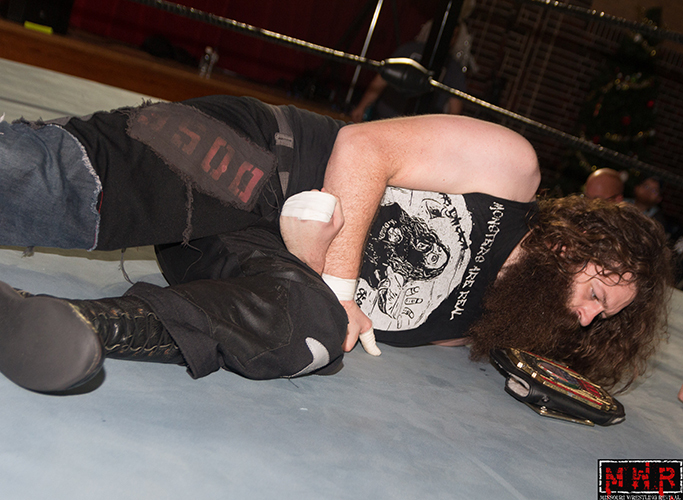 Wyatt already injured entered the match with his ribs tapped up and it was apparent from the grimace of pain on his face that he was fighting through tremendous pain. 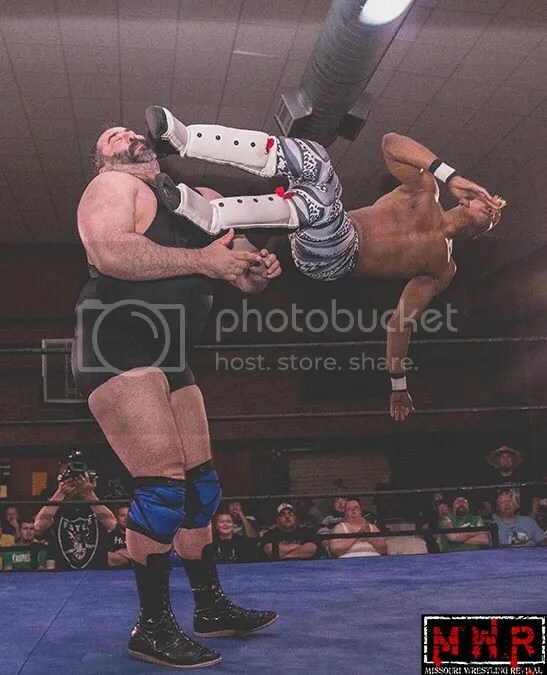 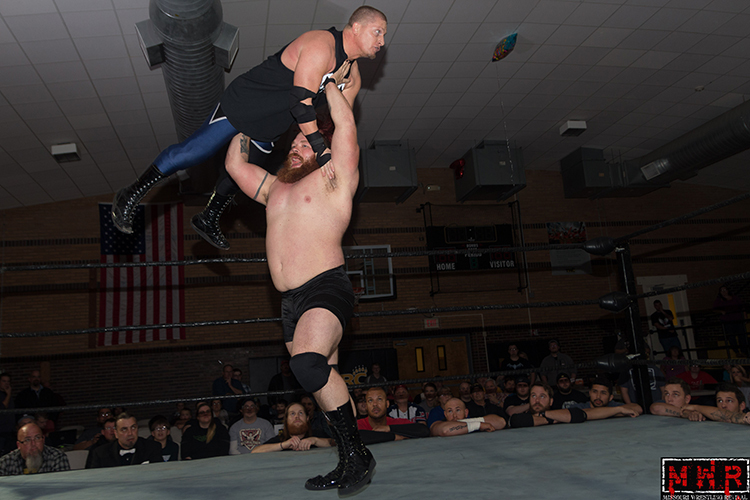 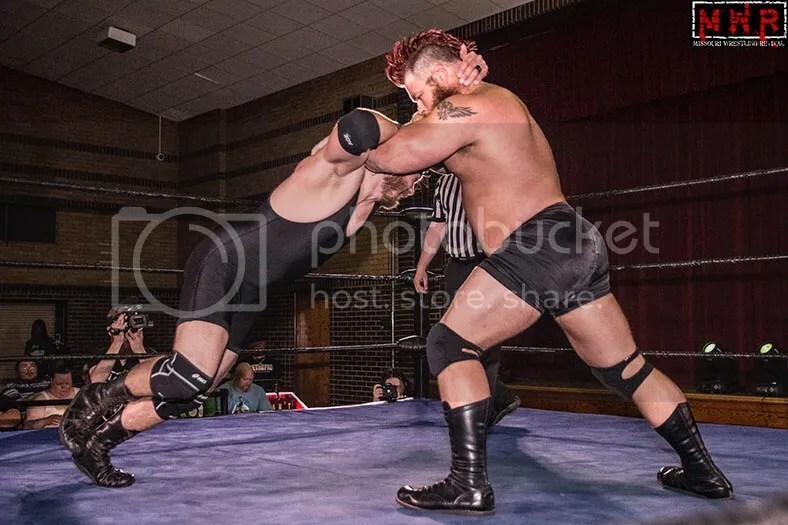 Somehow, he was able to withstand the pounding from the big man Stone during the match, to position Stone for his patented lighting spiral, for the win. 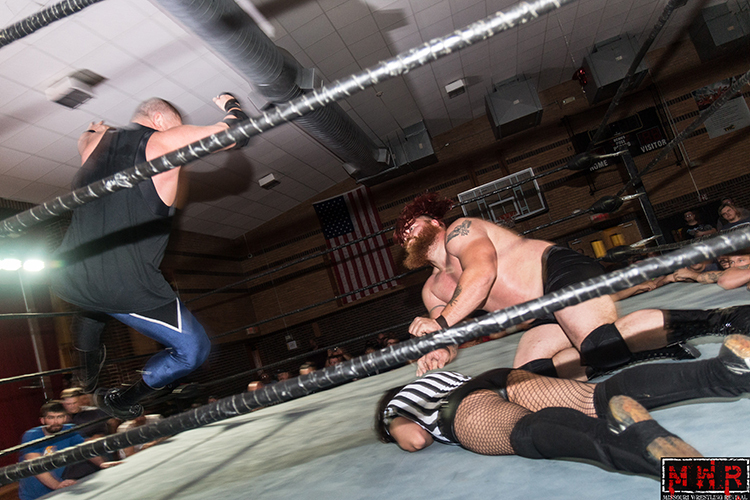 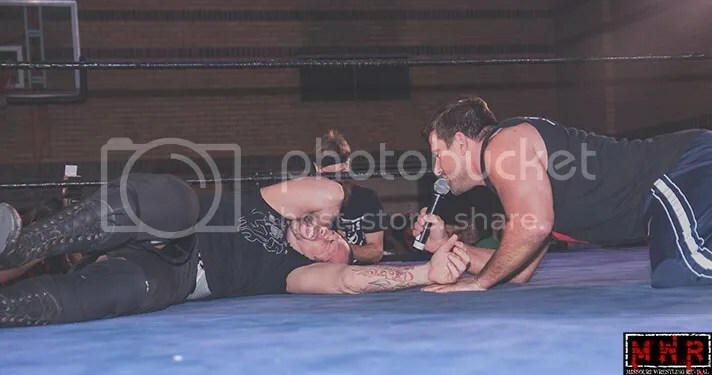 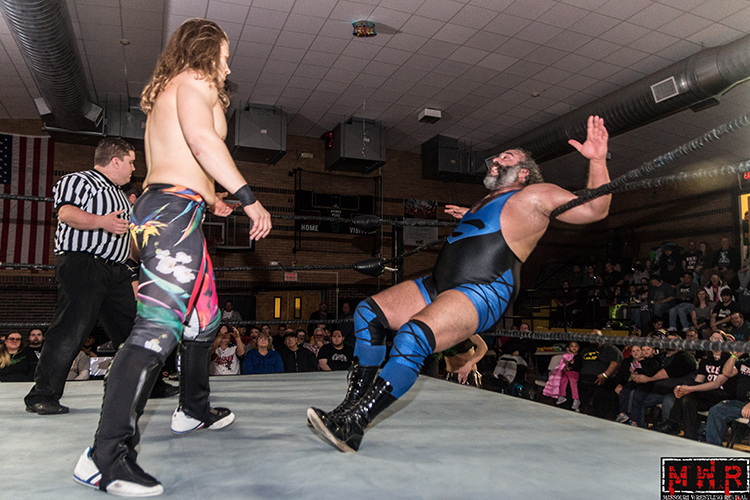 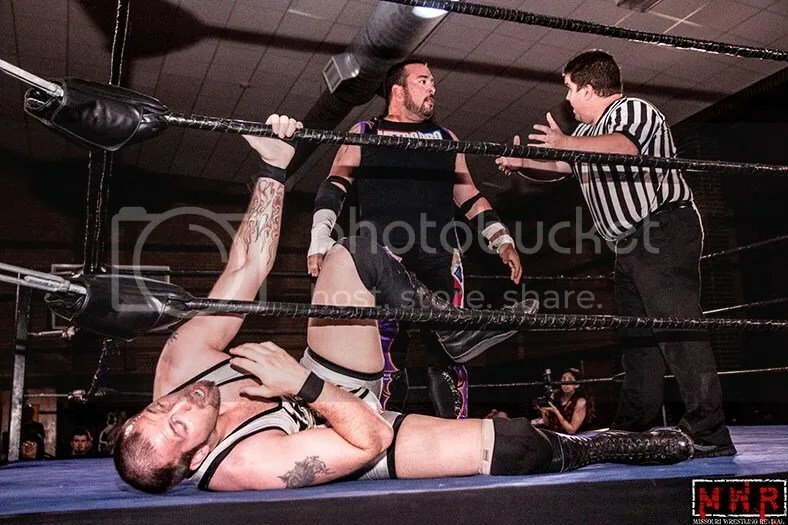 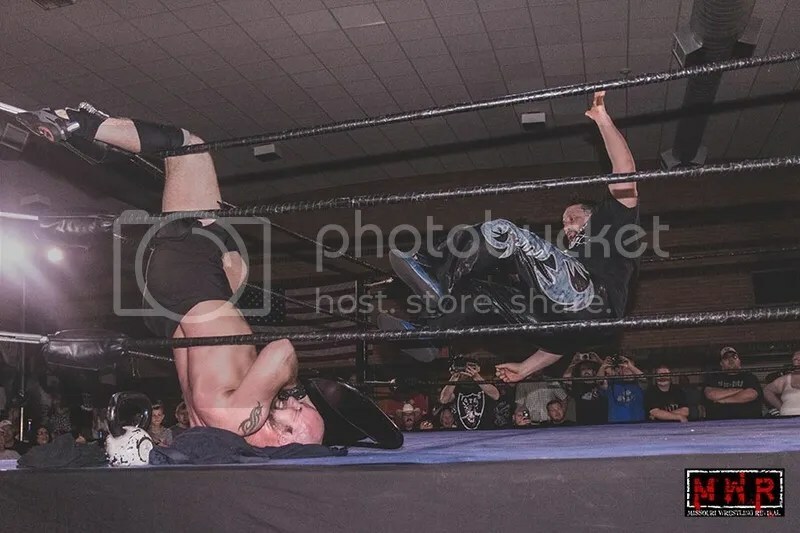 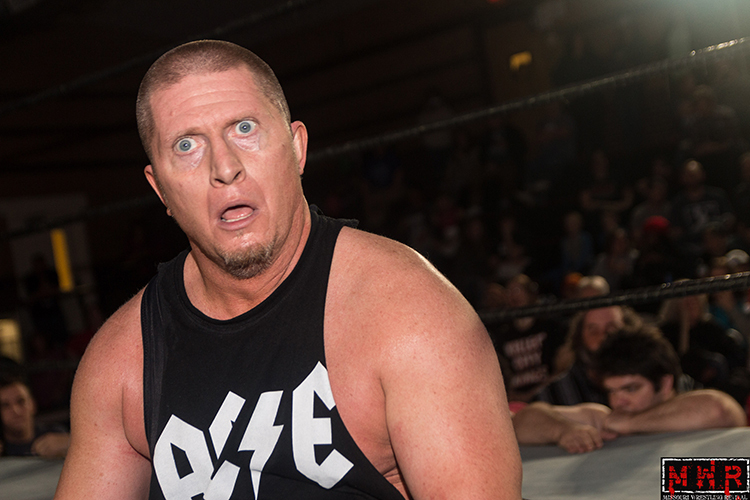 Trouble began however, when Stone countered by grabbing the referee Nick Chinn during the move, causing the referee to slam onto the mat hard enough to fall out of the ring to the floor. 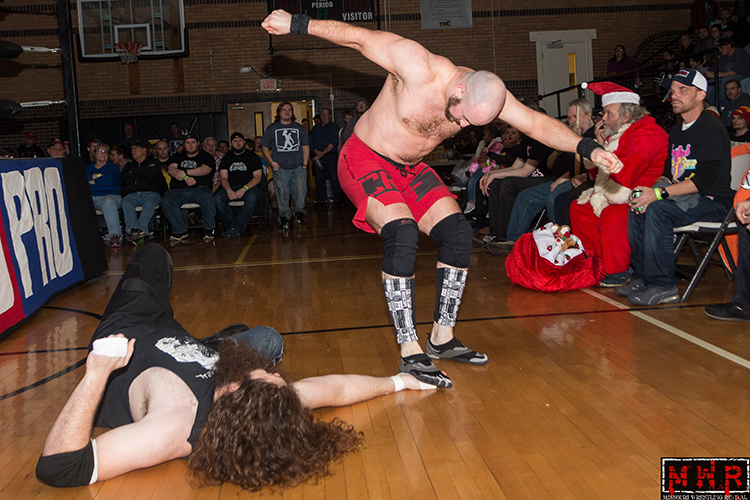 As Wyatt went for the pin fall the fans counted to three, but with no referee there was no official win. 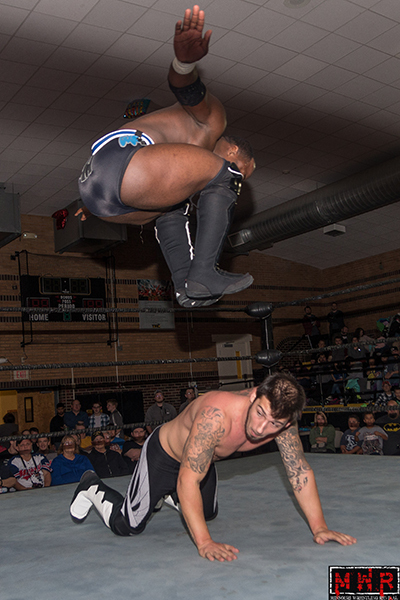 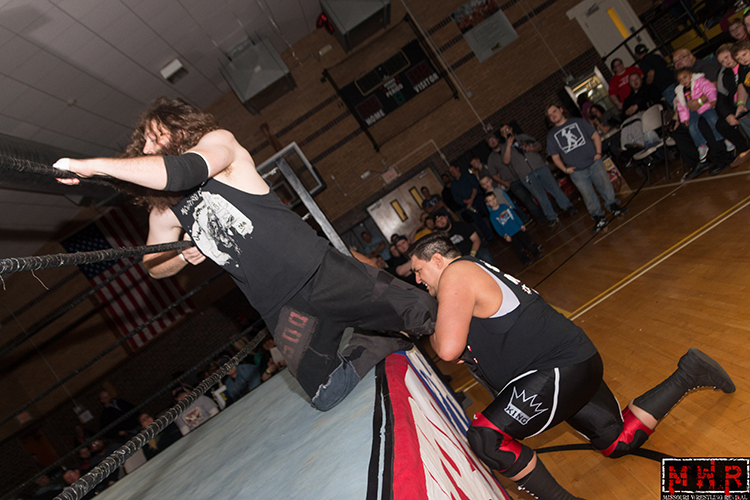 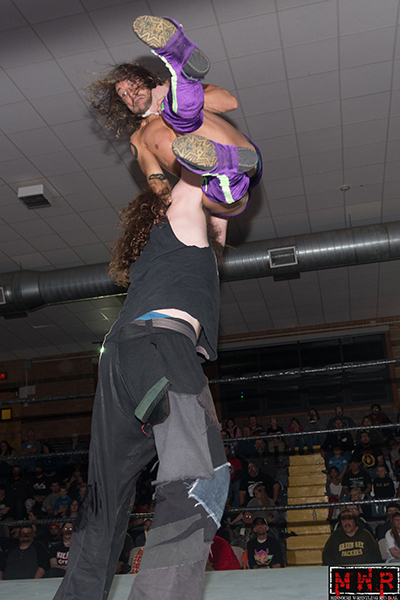 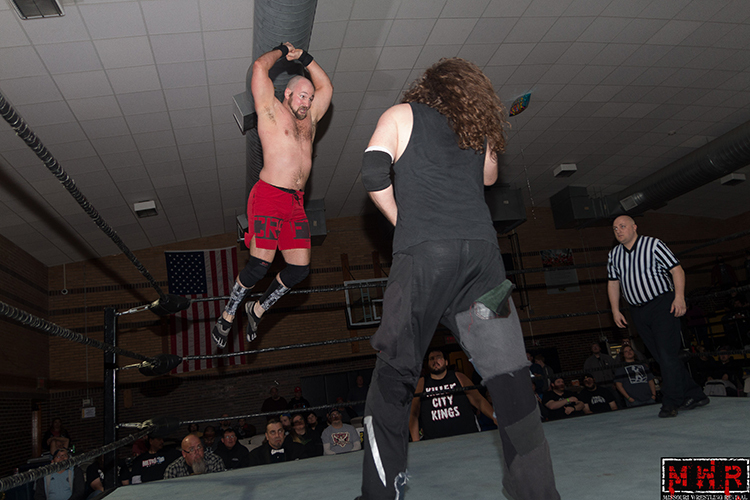 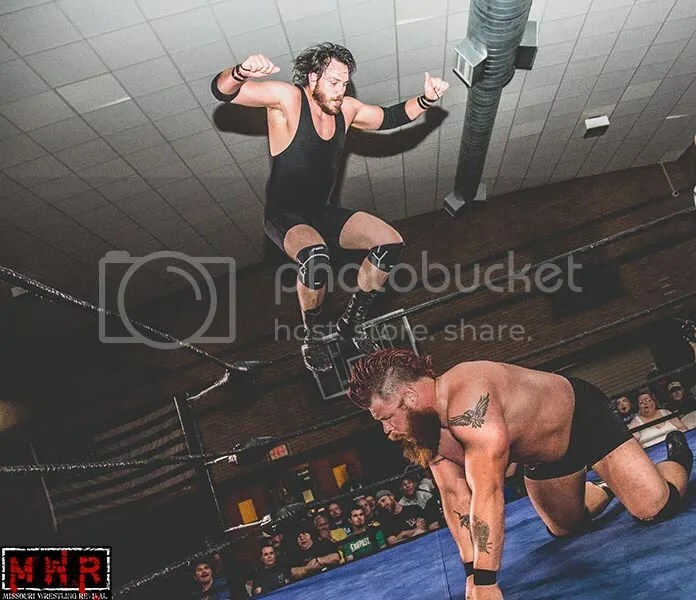 Though the match had taken its toll on the champion, Wyatt continued on the offense with a top rope elbow drop that was on target. 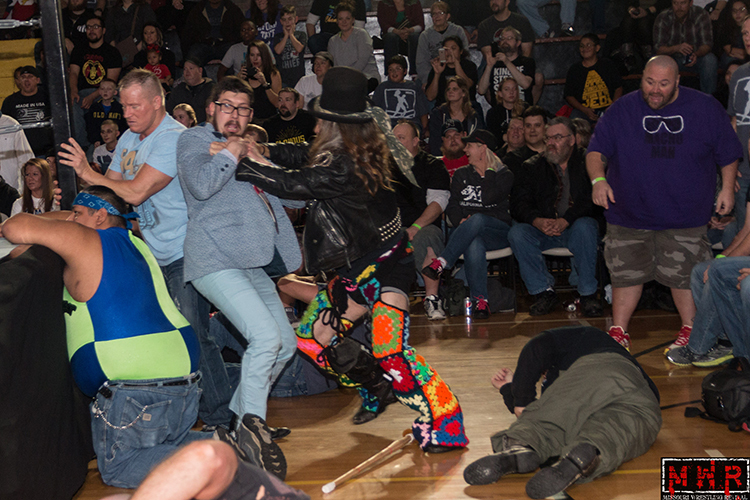 Once again, Wyatt, went for the pin as the crowd counted to three and beyond. 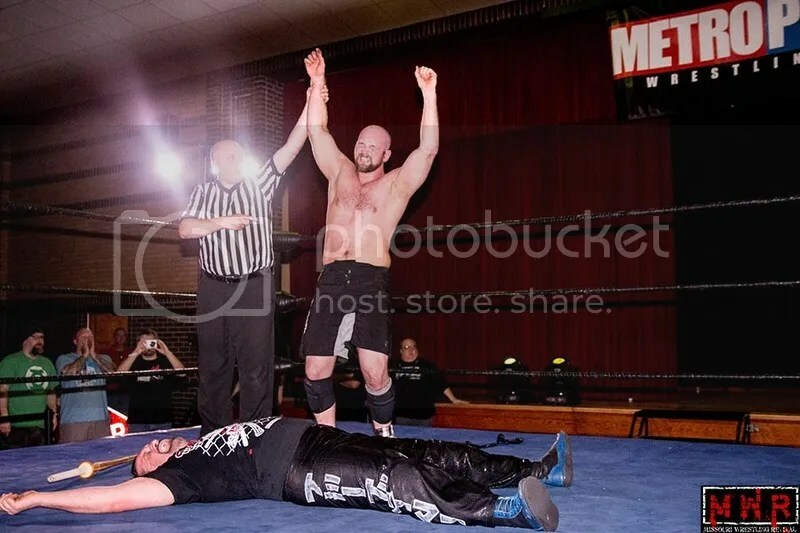 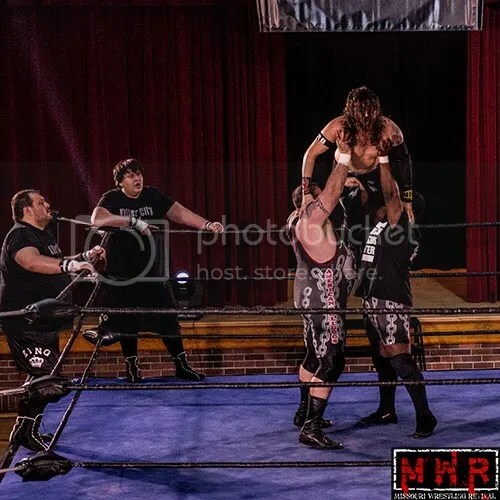 With the referee still down and out, and Wyatt hovering over Stone for the victory out from the back came MPW’s Michael Strider in a referee shirt to count the pin. 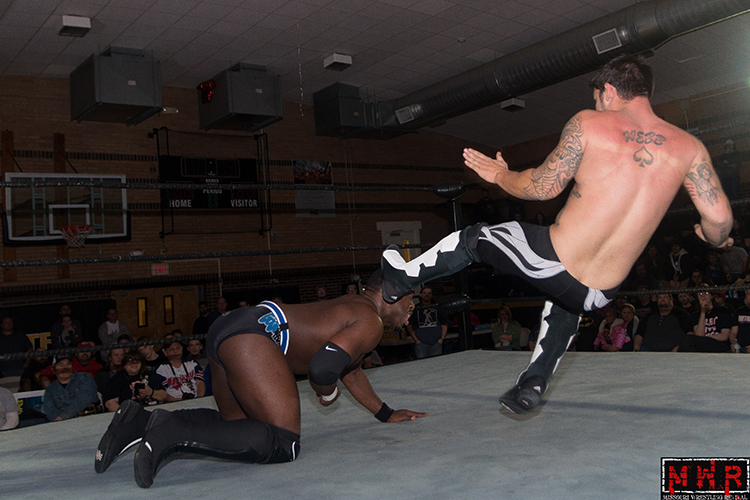 Striders hand went down for the 1, for the 2, but stopped at 3 even though Stone was unable to kick out. 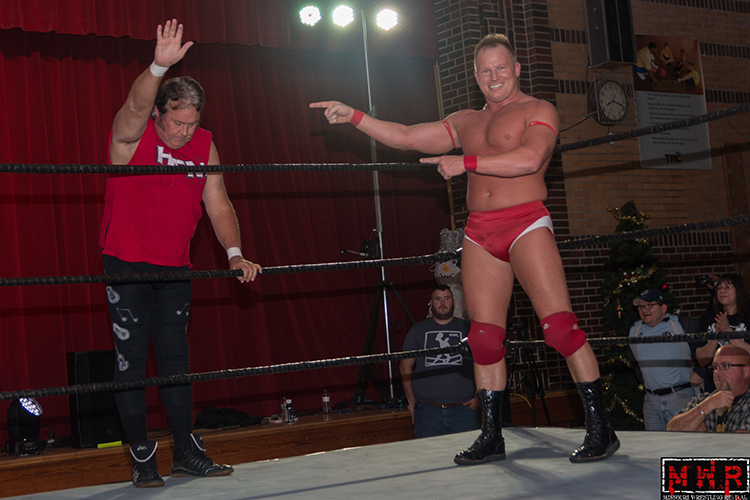 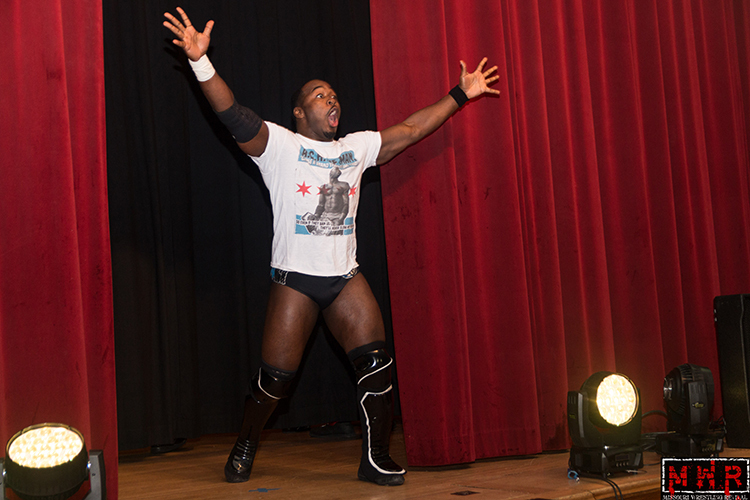 You could hear a pin drop at the Turner Rec Center as Wyatt looked up at Strider in shock. 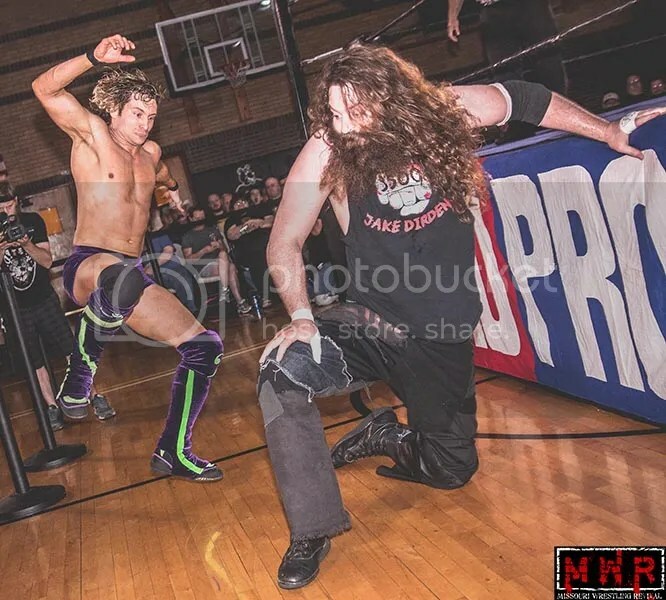 In a moment that seemed to stand still, Wyatt came to his feet and confronted Strider in the corner about what had just conspired. 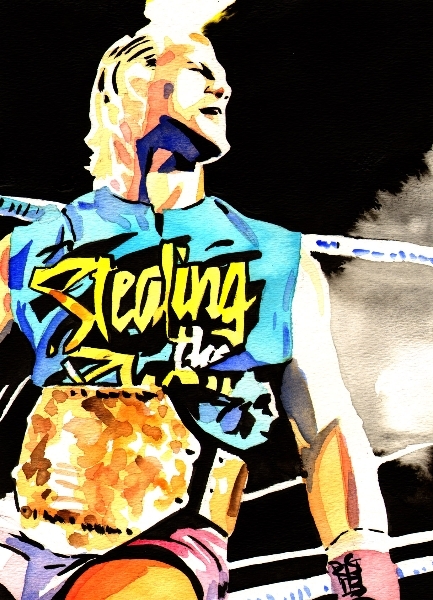 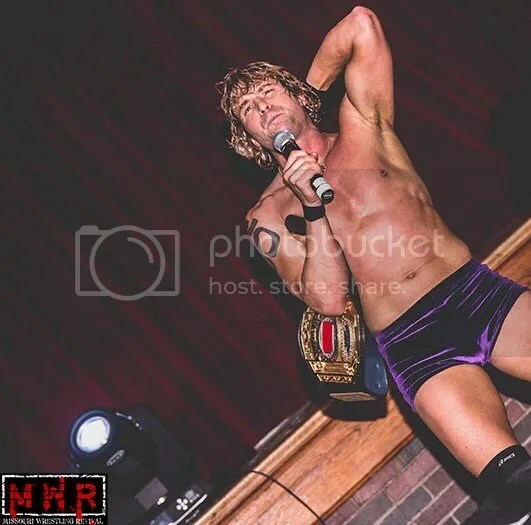 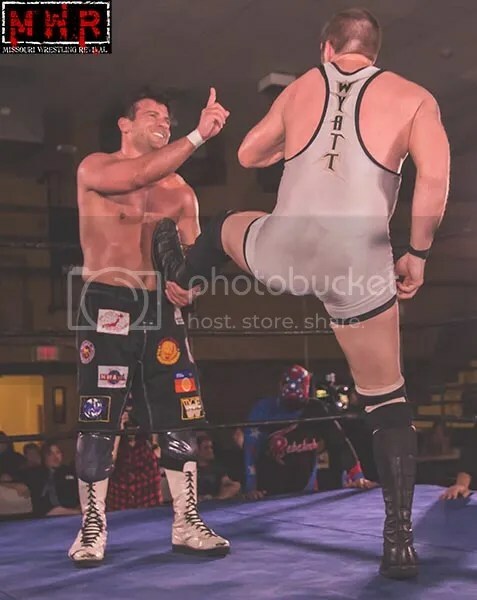 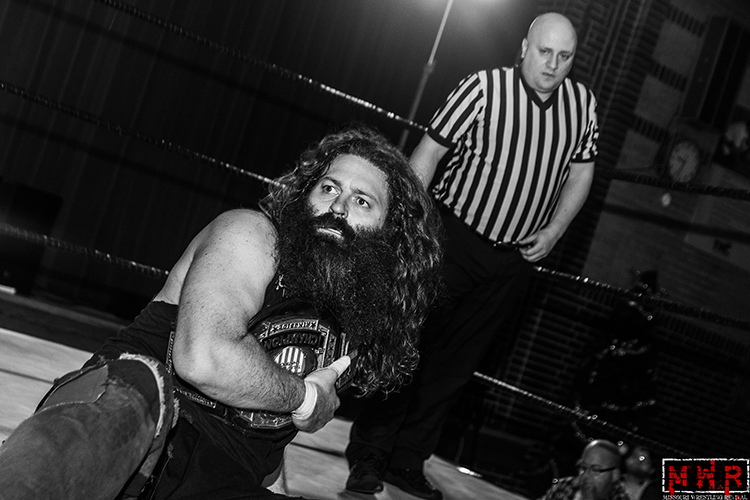 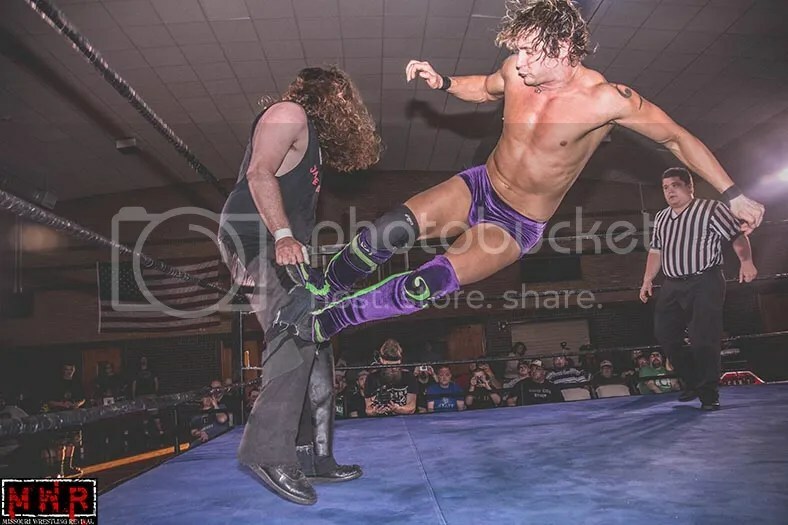 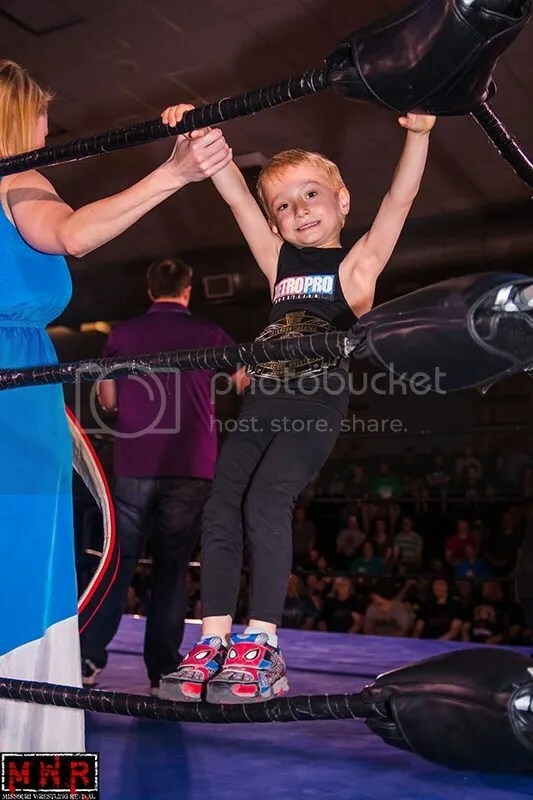 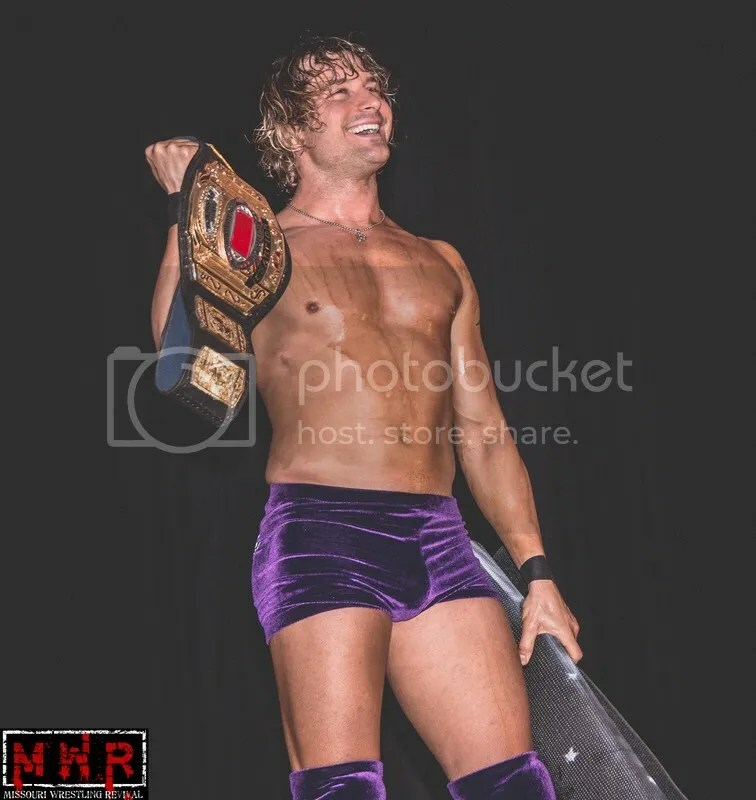 With a wicked smile on Striders face, Wyatt must have sensed that he was in dire straits because he turned around to confront Stone only to be leveled with the MPW Championship belt. 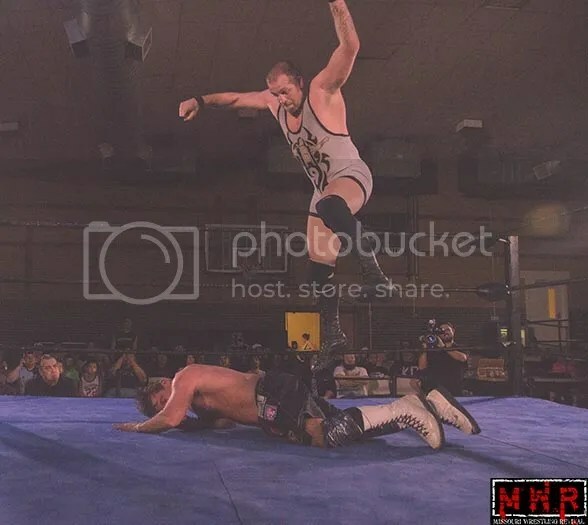 Stone quickly went for the pin, and the crowd watched in disgust as Striders hand went down for the final 3 as the MPW belt once again will be around the waist of Derek Stone. 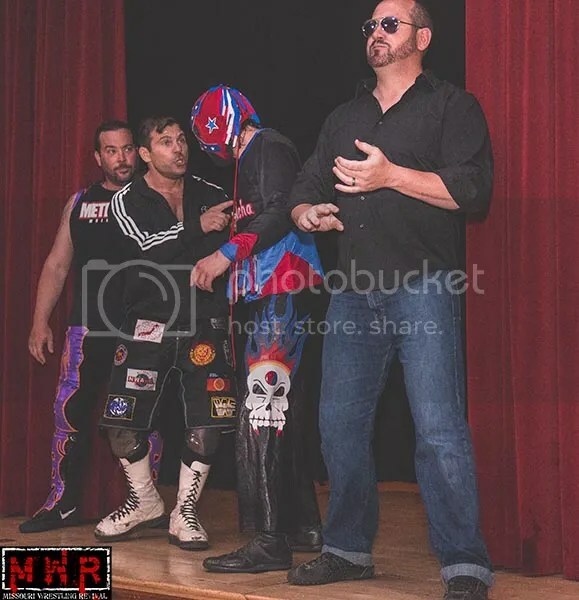 As one year comes to an end and another begins the fans will be anticipating the repercussions of Michael Strider’s actions during this historic match and if he and Stone will be able to withstand the revenge of the rebel. 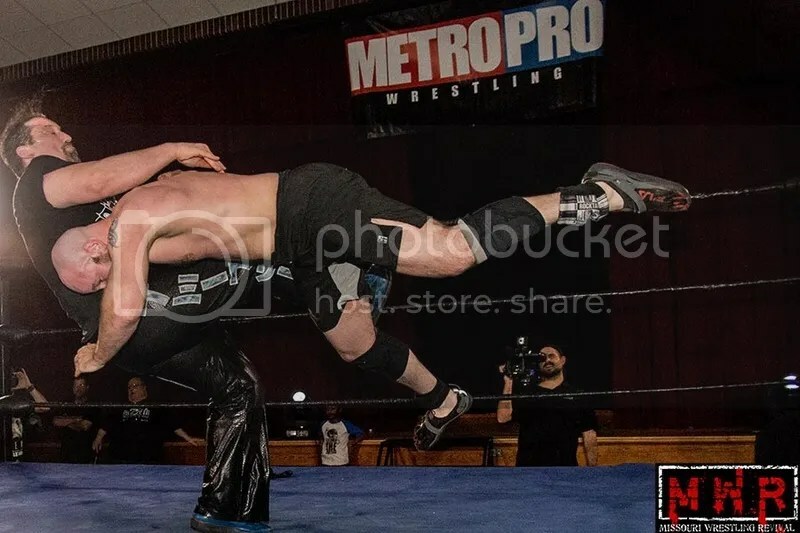 Tickets on sale now at MetroWrestling.com.